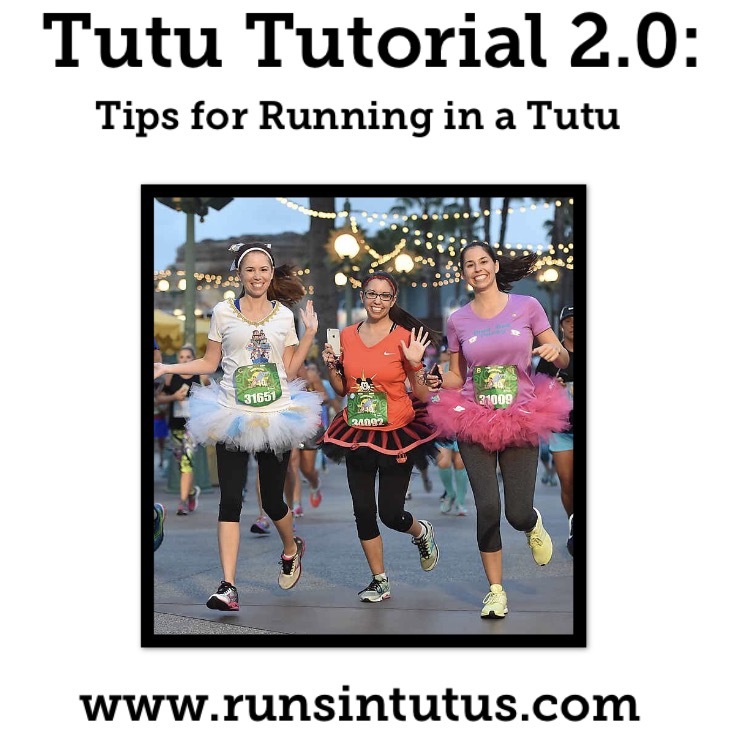 Happy February, Team Tutu. 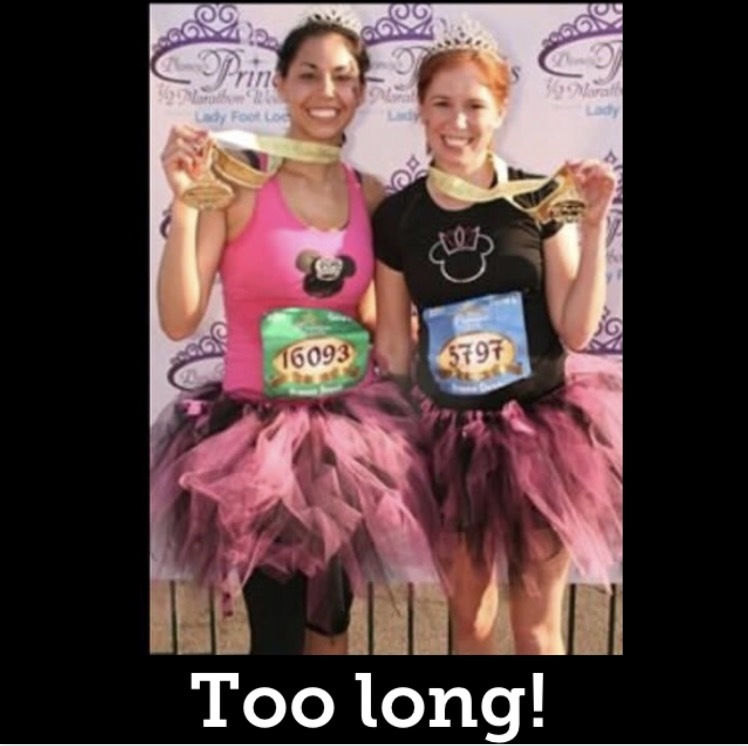 We love February because it means it is officially time to do nothing but princess things! We can’t believe the runDisney Princess Half Marathon weekend begins in less than three weeks. 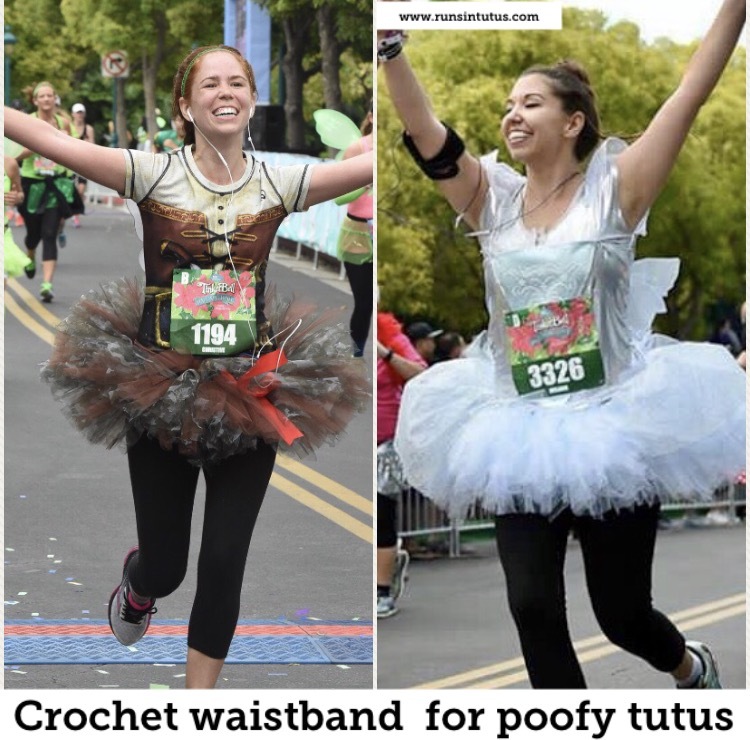 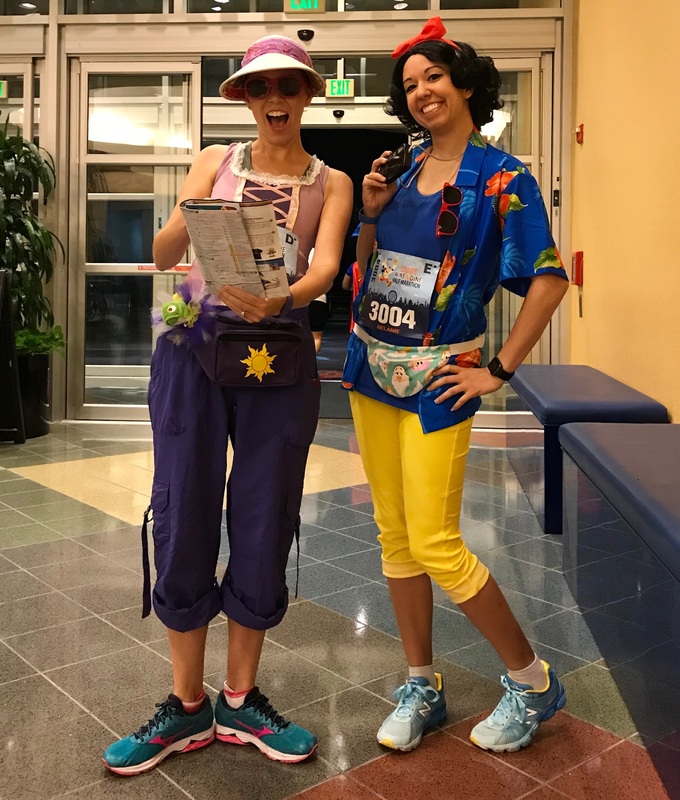 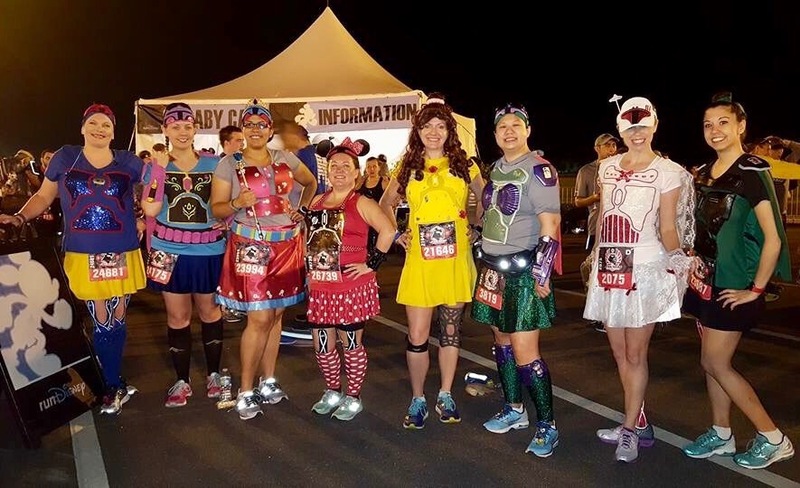 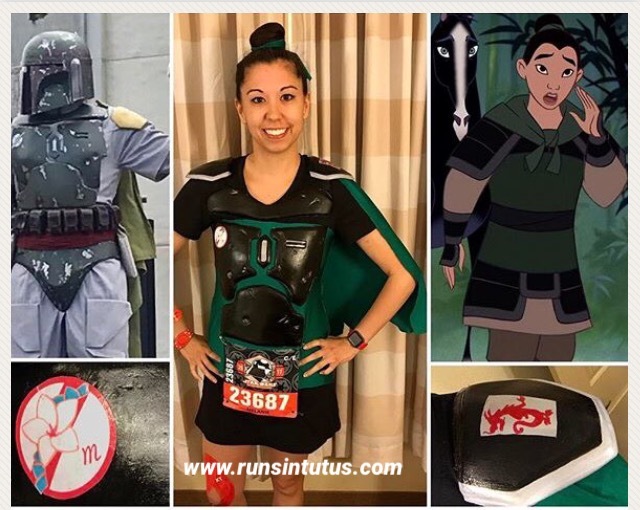 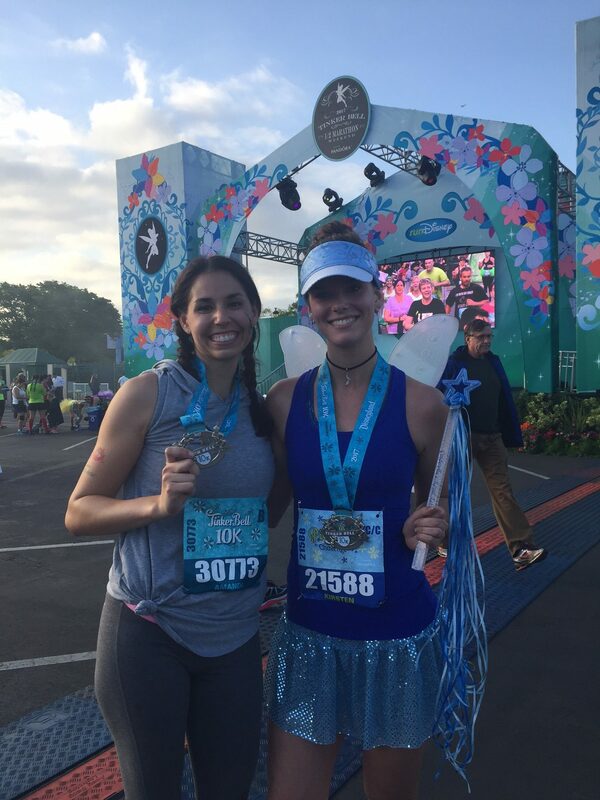 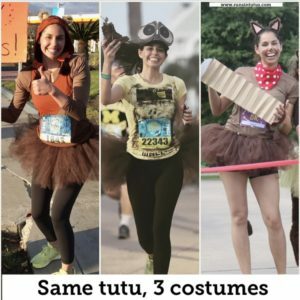 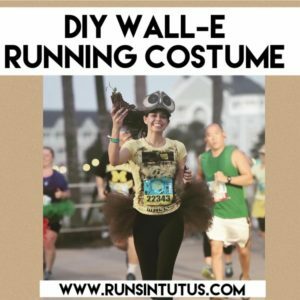 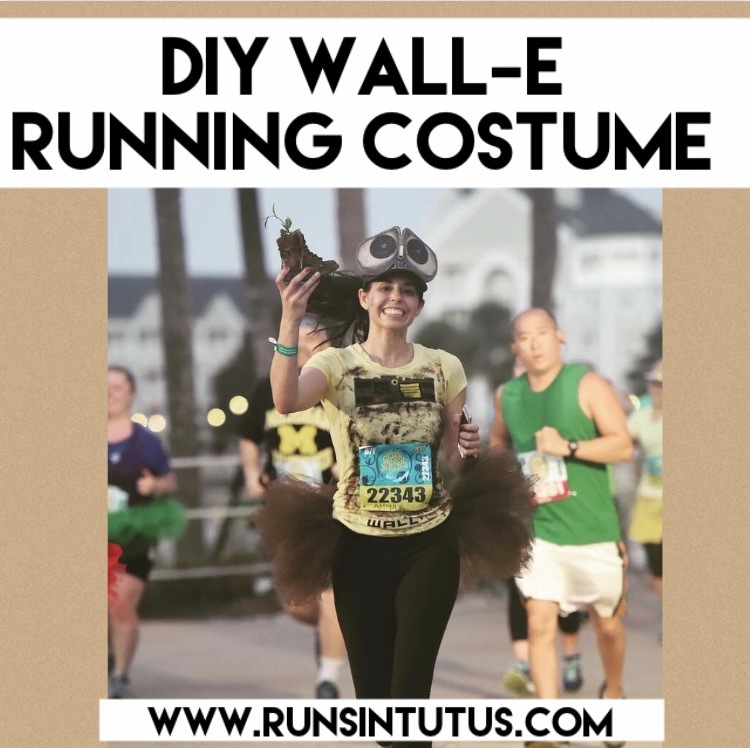 We’re busy recovering from the runDisney Marathon, making our race costumes, and trying to fit all the sparkly items we own into a TSA approved carry-on bag. 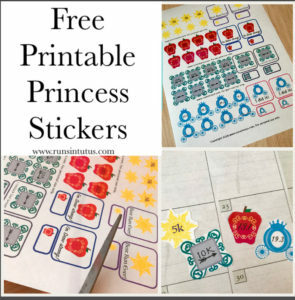 In the meantime, I thought I’d share a set of free printable princess inspired stickers to commemorate the magical weekend. I keep a bullet journal as my planner and training log, and I love to use stickers to jazz up my weekly and monthly pages. 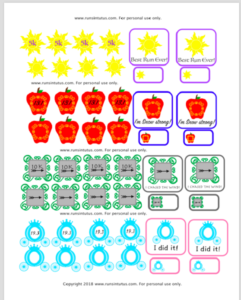 I thought fellow fans of all things princess might also enjoy some planner sticker magic. 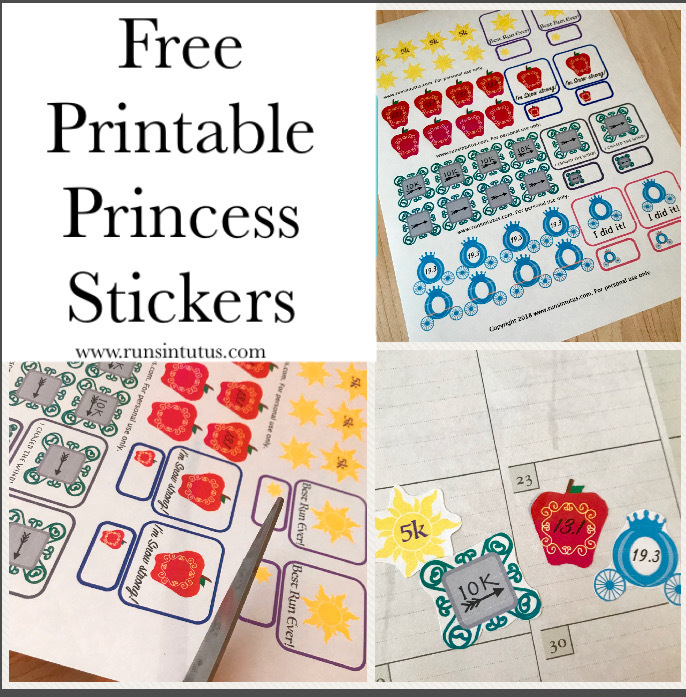 Preview of the printable princess stickers. 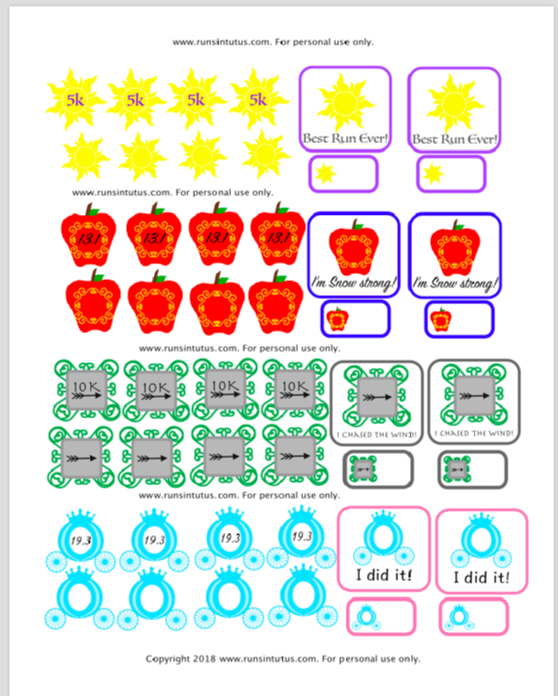 Here is the link to download the stickers as a PDF.. 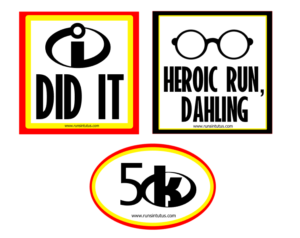 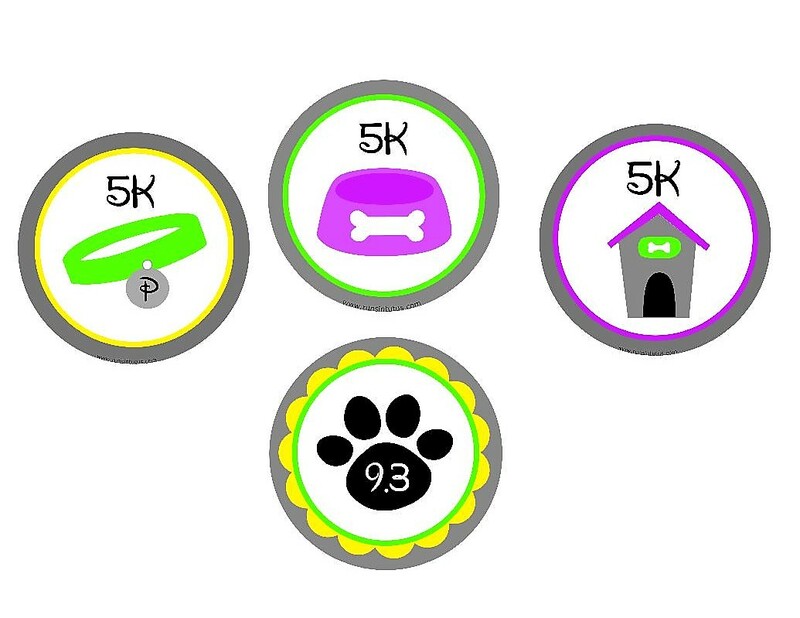 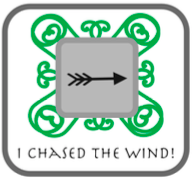 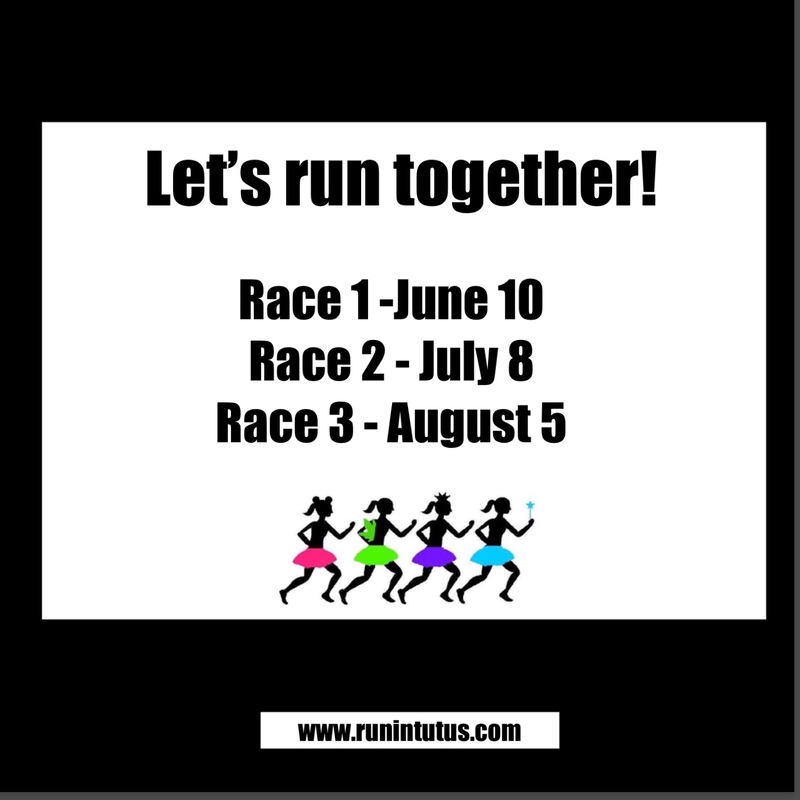 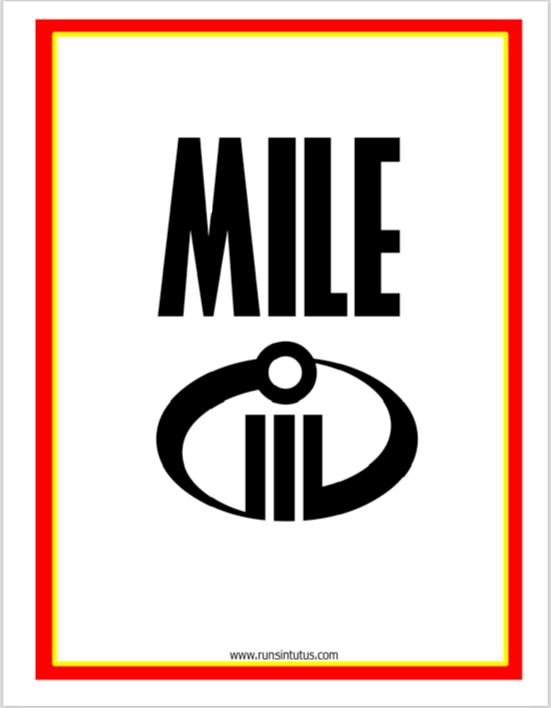 The set includes a sticker for the 5K, 10K, 13.1, and 19.3 distances. 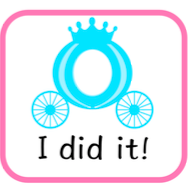 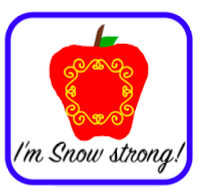 There are also stickers with princess mantras to reward yourself for a milestone of your choice. 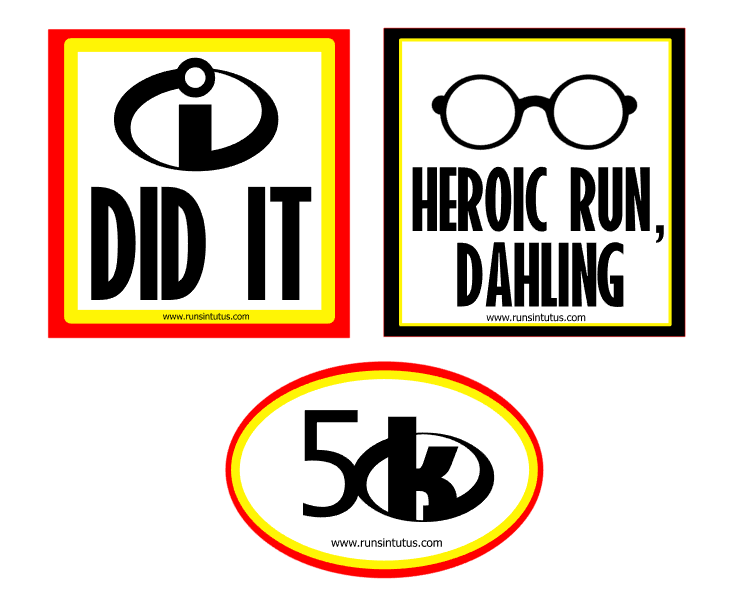 For extra magic, the set includes blank stickers to customize with your personal accomplishments. 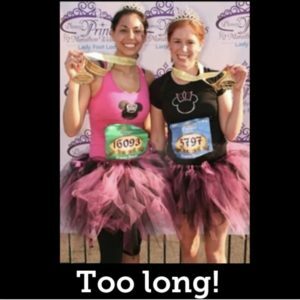 Good luck to all who are headed to the Princess Half Marathon weekend! 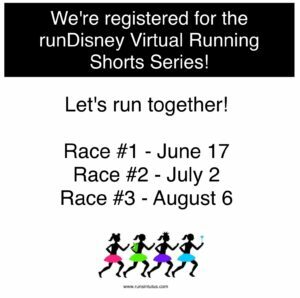 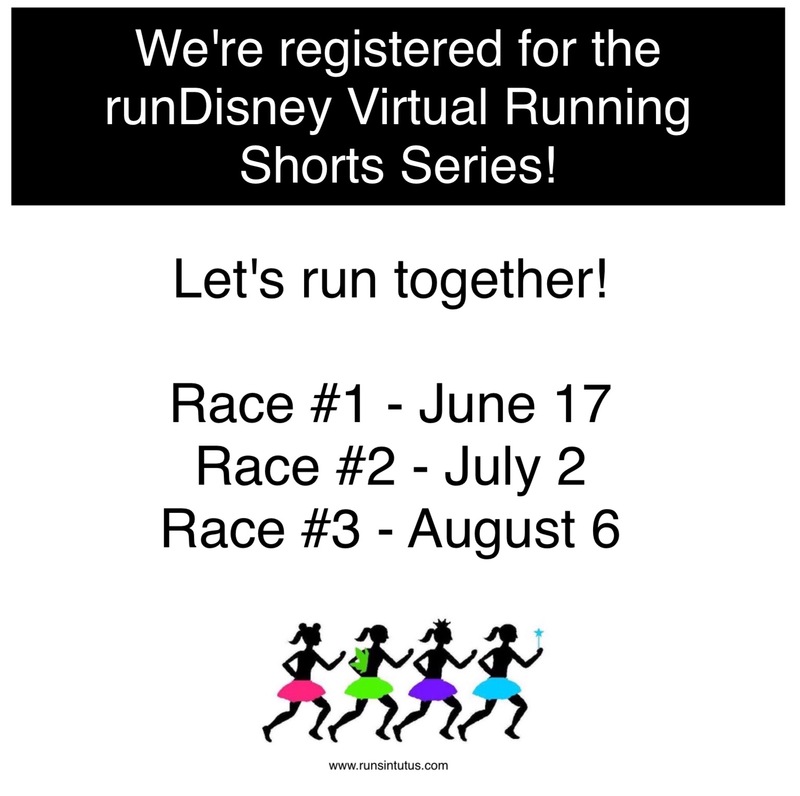 Hope to see you on the course. 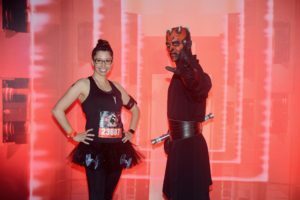 Race expo: We arrived at the expo on Friday afternoon and were pleasantly surprised at the low crowds in the expo area. The race weekend was Pixar themed, and runDisney did a wonderful job with coordinating the expo signage and décor. 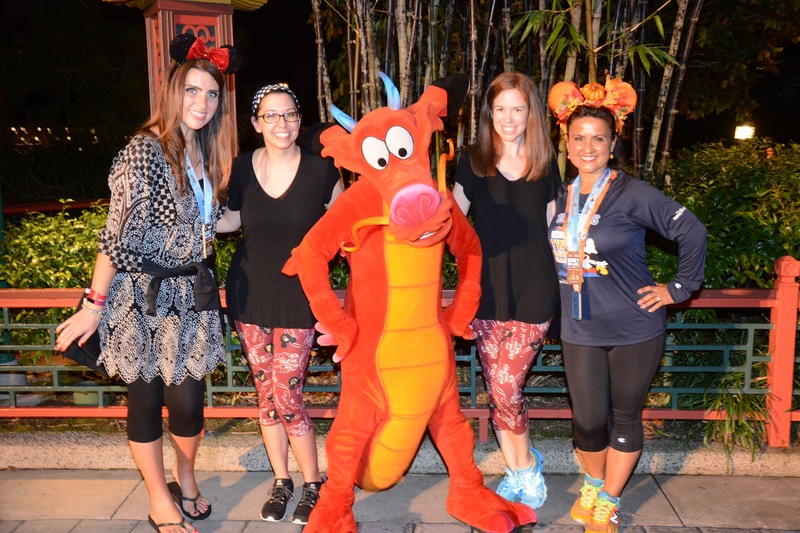 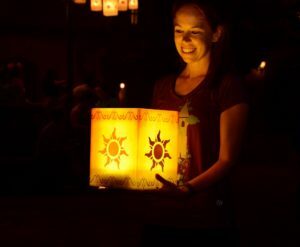 The special themed details are part of what makes a runDisney event so magical. 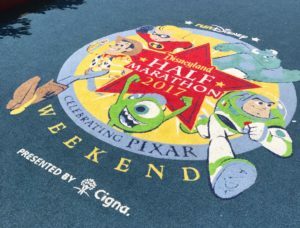 We absolutely loved the adorable art on the blue carpet on the entrance to the bib pick-up area. 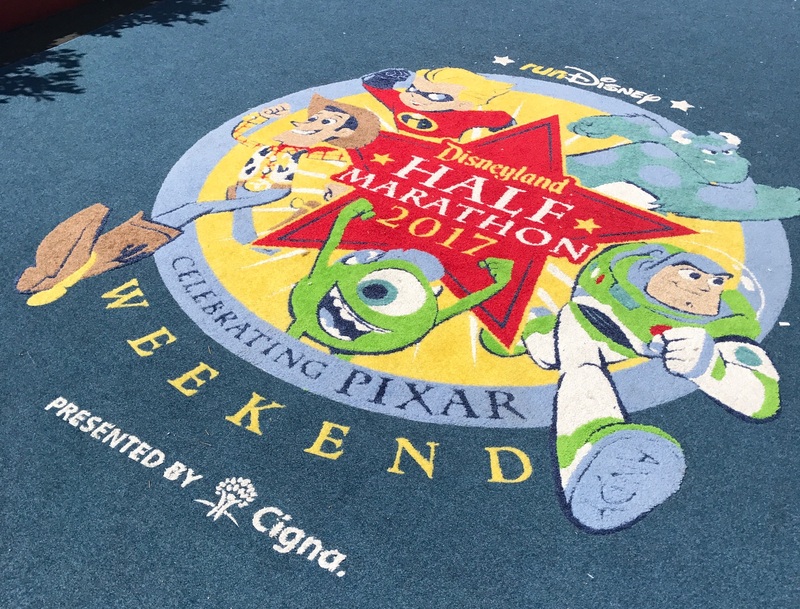 Adorable carpet in the entrance to bib pick-up at 2017 Disneyland Half Marathon weekend. 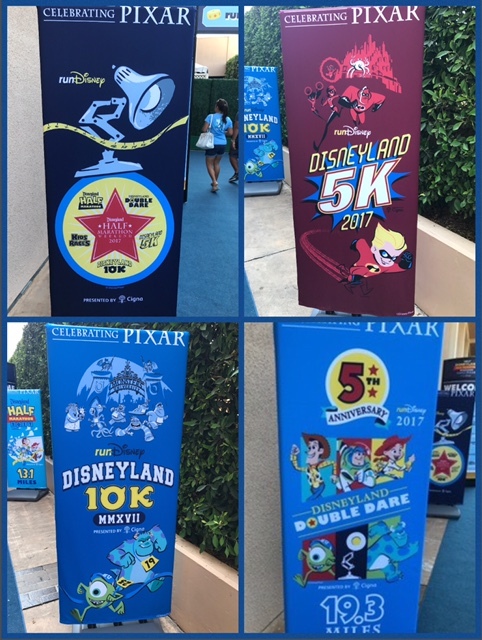 Pixar themed signs entering the race expo. Backdrop for pictures in bib pick-up area for 2017 Disneyland Half Marathon weekend. 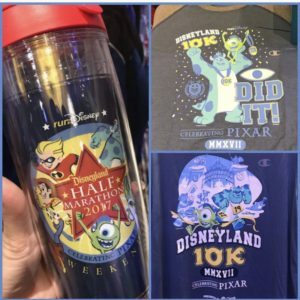 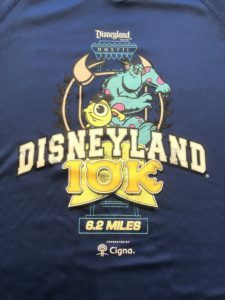 The 10k was Monster’s University themed, and the race shirt was royal blue and featured an adorable image of Mike and Sully running on the front of the shirt. 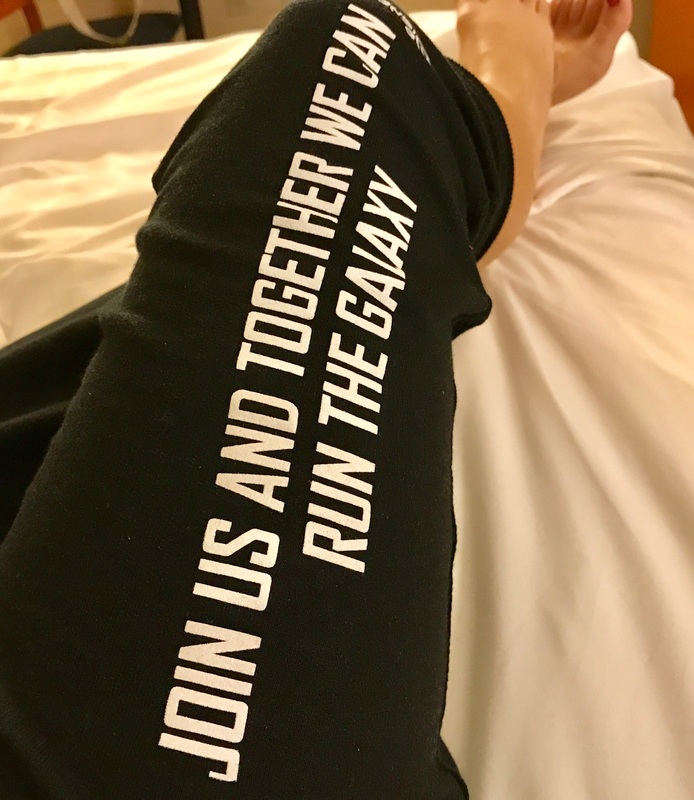 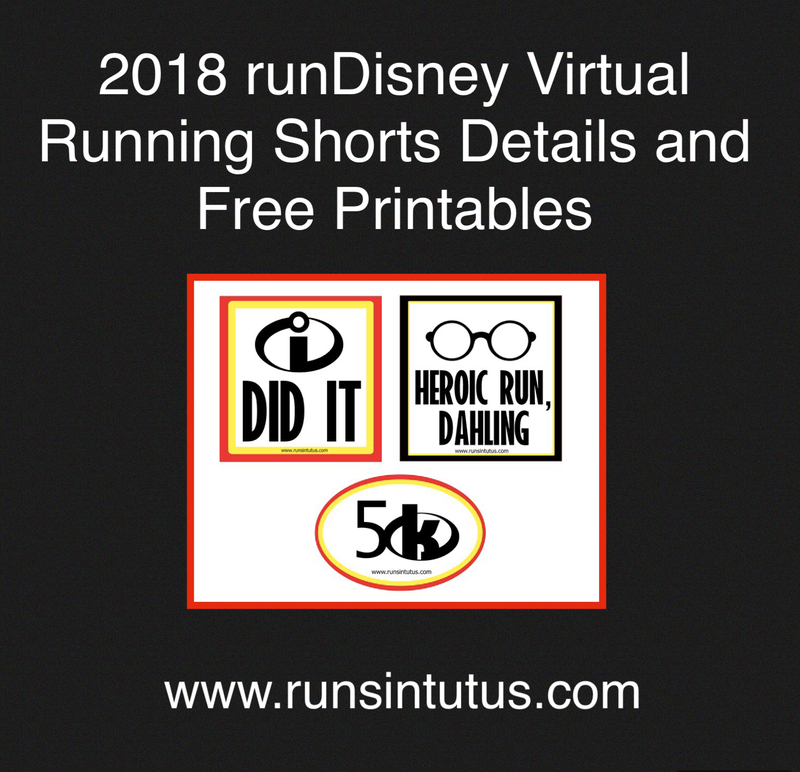 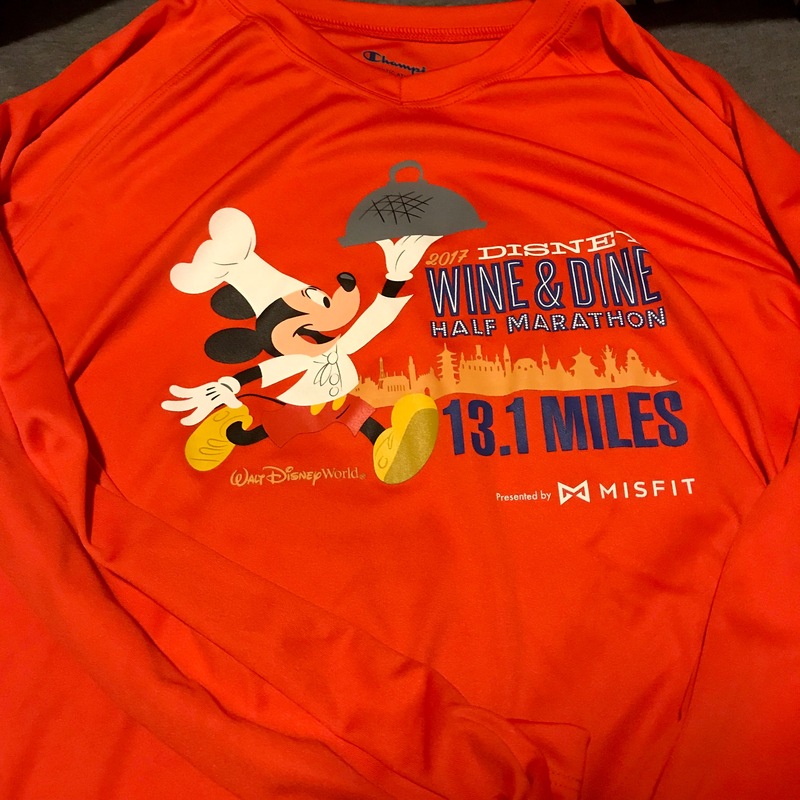 We think this is one of our favorite runDisney race shirts to date! We were also excited to see there was plenty of merchandise still available when we arrived at the official merchandise booth. 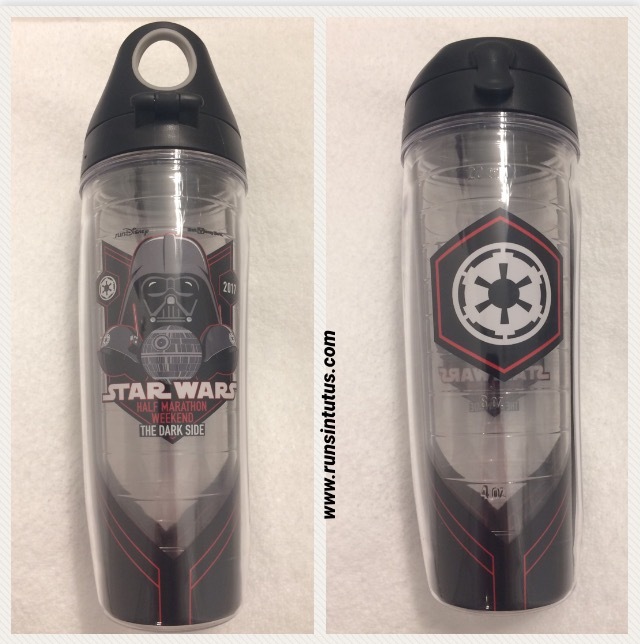 We were able to snag Tervis water bottles for all three of us! 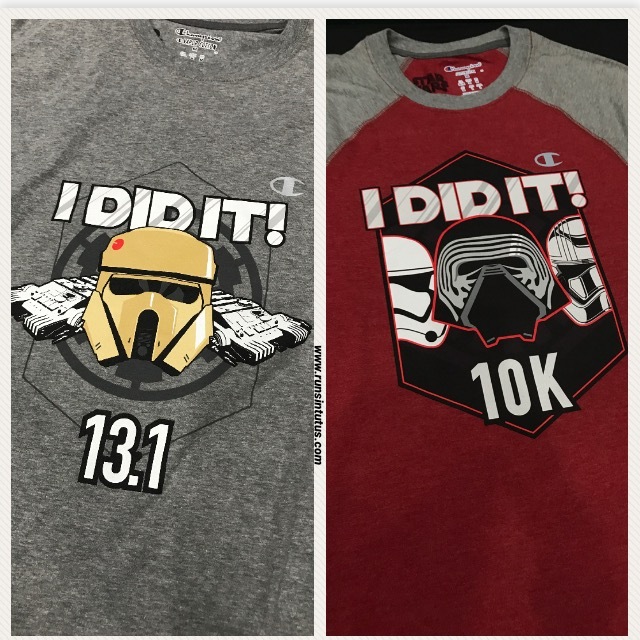 We also saw plenty of shirts, headbands, and tree ornaments still on the shelves. 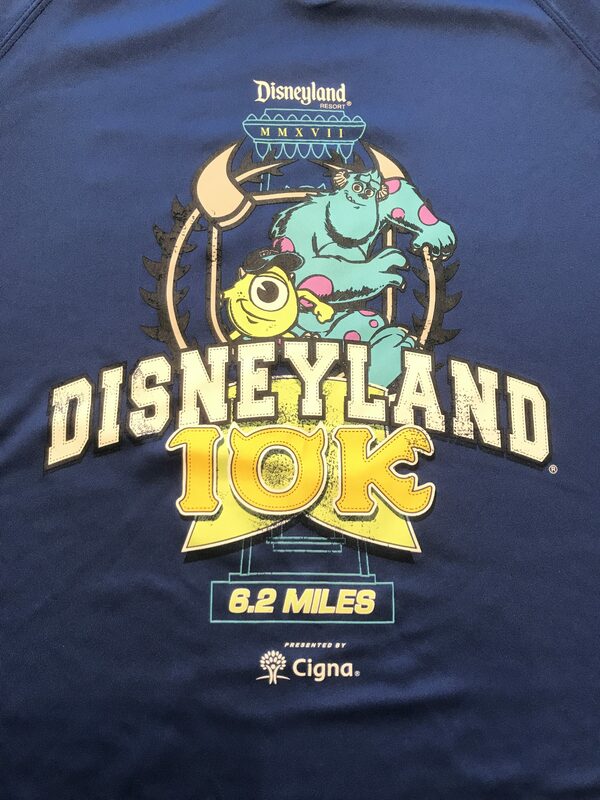 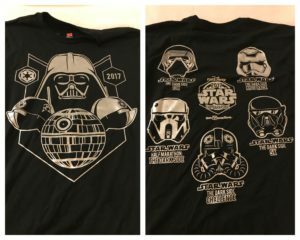 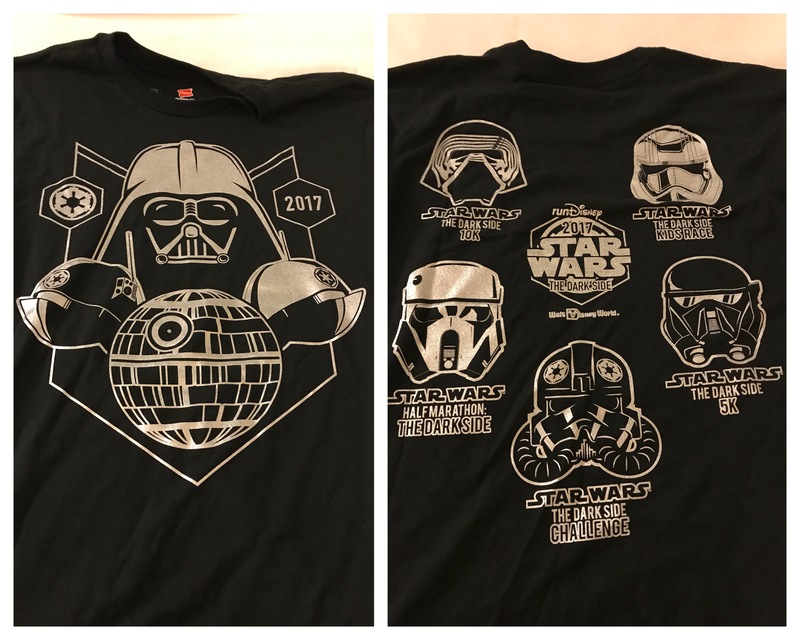 2017 Disneyland 10k participant shirt. 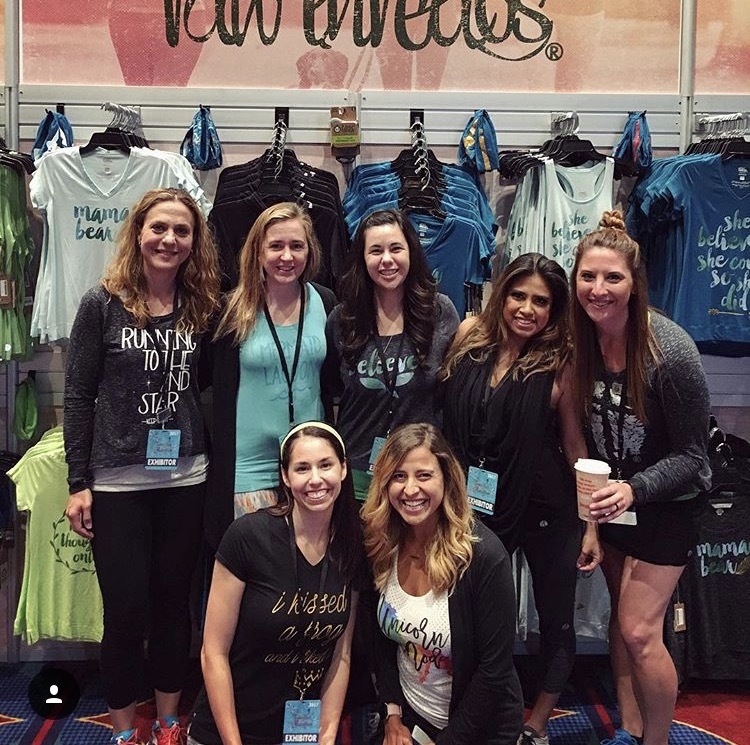 The best part of the expo was getting a chance to catch up with some of our Instagram friends in real life. 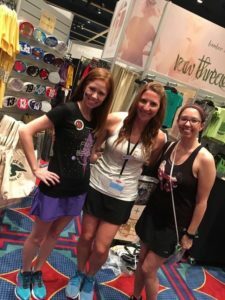 It was a pleasure to see Kate Malo at the Raw Threads tent. 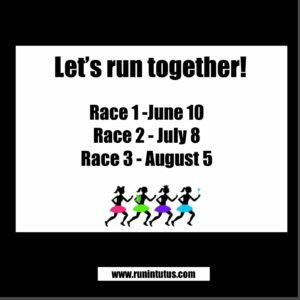 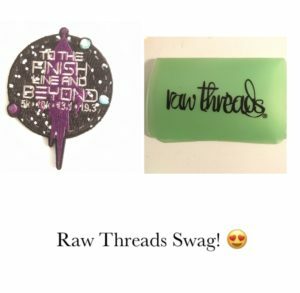 We registered for the race via the Raw Threads Club, and Raw Threads made a special race themed patch for club members and gave club members a special waterproof ID/credit card holder! 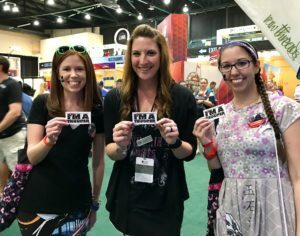 We also had the chance to see our friend Alex (@alexquevado) at the expo. 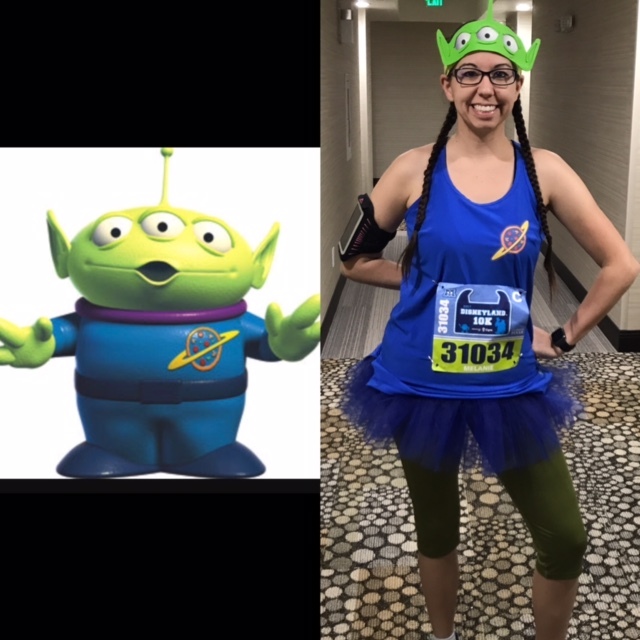 He had an amazing Pizza Planet costume for the half marathon! 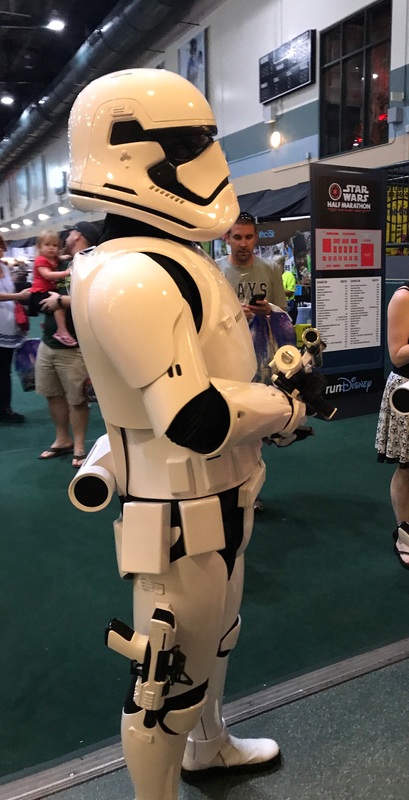 We loved getting a sneak peek of his Pizza Planet hat at the expo. Always a pleasure to see Kate Malo at the Raw Threads booth! Free patch and card holder from expo for Raw Threads Club members! 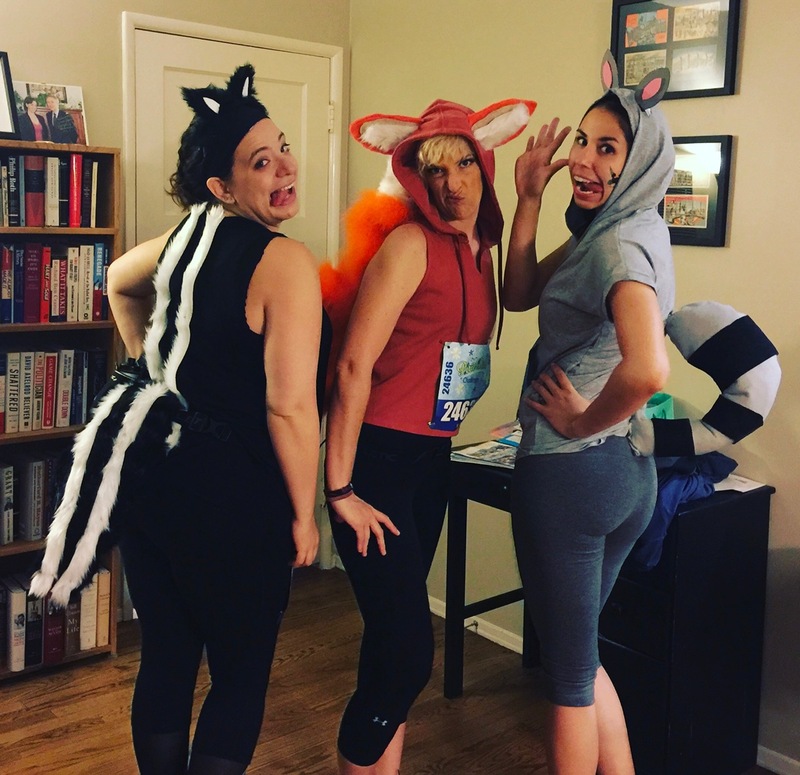 Costumes: When we heard there was a heat advisory for this race, we tried to ensure our costumes would be appropriate for the warm weather conditions. 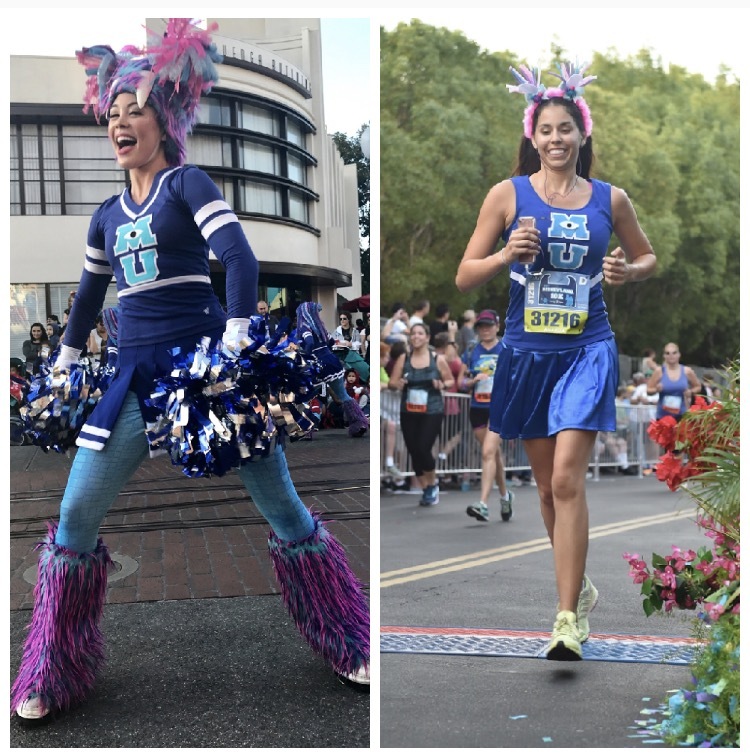 Amanda decided to go with the Monster’s University theme and dressed as an MU cheerleader for the race. She ordered a blue cheerleader skirt and top from Amazon and then glued felt letters to the front to make the MU logo. 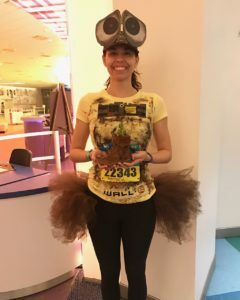 Our friend Sam Steelman made Amanda an adorable headband that looks just like the headpiece the MU cheerleaders wear! Amanda dressed as a Monster’s University cheerleader! Melanie dressed as an alien from toy story. 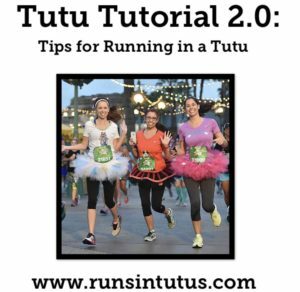 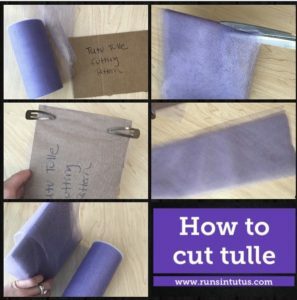 She made a blue tutu with one layer of tulle so it wouldn’t be super poofy. 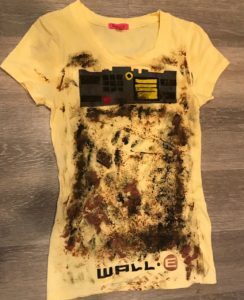 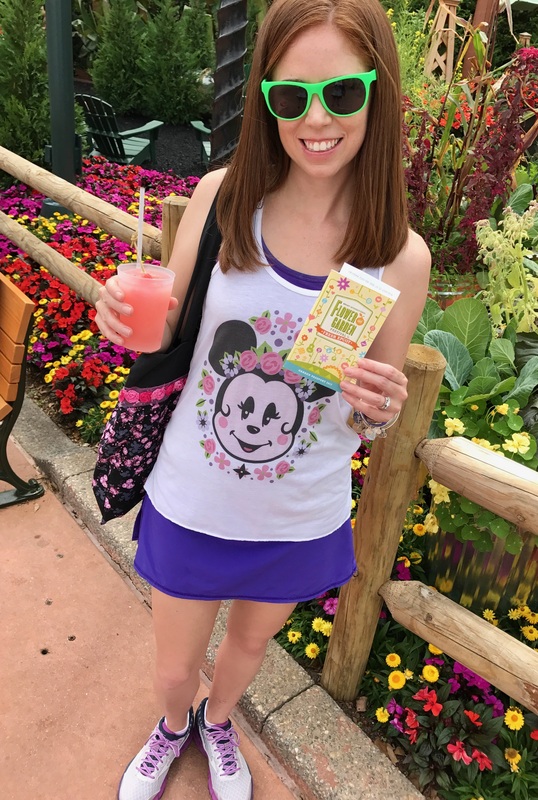 She printed out the pizza planet logo on iron on t-shirt transfer material and ironed it on to the front of a blue running tank top. 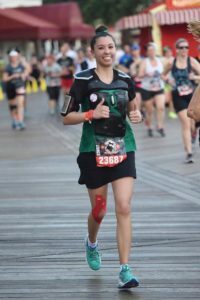 She made the alien face out of green foam and made the eyes out of images printed on glossy computer paper. 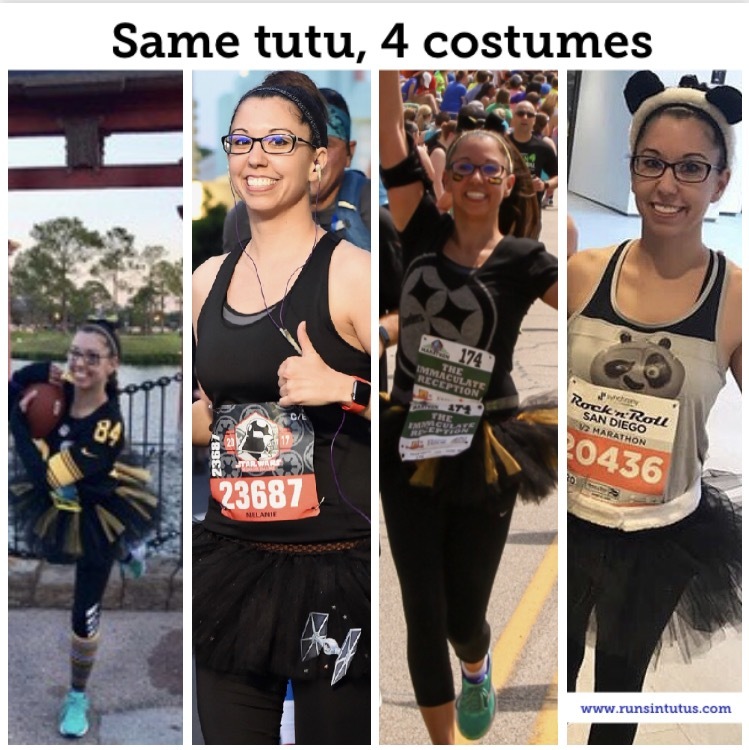 She attached the alien face to the front of a green headband from Raw Threads instead of a hat to make this costume more warm weather friendly. Melanie as a Toy Story Alien. 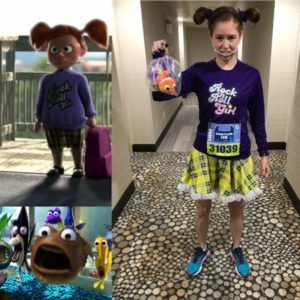 I dressed as Darla from Finding Nemo. I’ve actually been thinking about dressing as Darla for several years, but never seemed to find a race theme that suited this character. 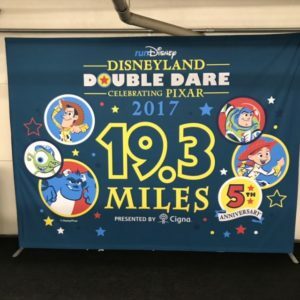 As soon as I heard that the race weekend was Pixar themed, I knew it was time for Darla to make her debut! This was actually a pretty easy costume to put together. 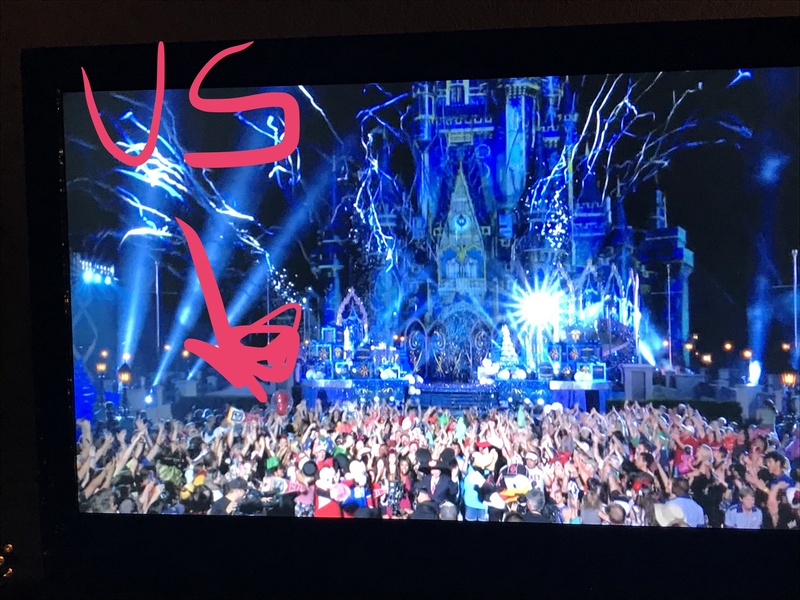 I found the “Rock N’ Roll Girl” image from Amy Ever After, and printed it out on t-shirt transfer material. 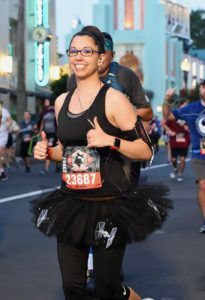 I found the skirt on Amazon, but when it arrived, I didn’t love that the skirt was unhemmed and didn’t really have any tutu flair. 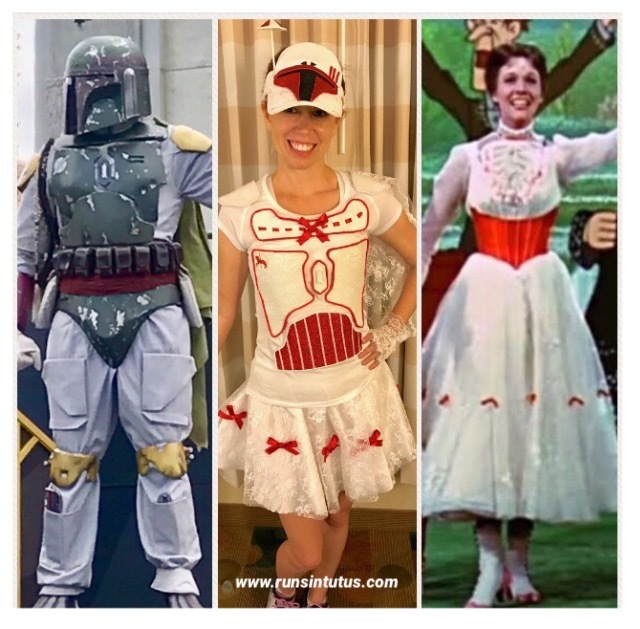 Thankfully, my good friend Carolyn (AKA Gg) came to my rescue and helped me repurpose some of the fluff from an old petticoat to add some finish and flair to the skirt. 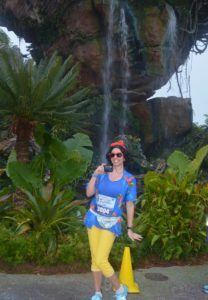 I found the stuffed Nemo in a stack of toys at the lab where I work, and I “borrowed” him for the week of the race. I wanted to give him a special touch, so I made him a tiny tutu from a hair elastic. 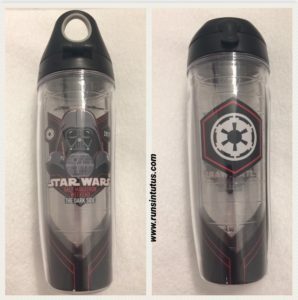 I put Nemo in the clear bag from the ice bucket in our hotel because I left the plastic bag I intended to use at home. 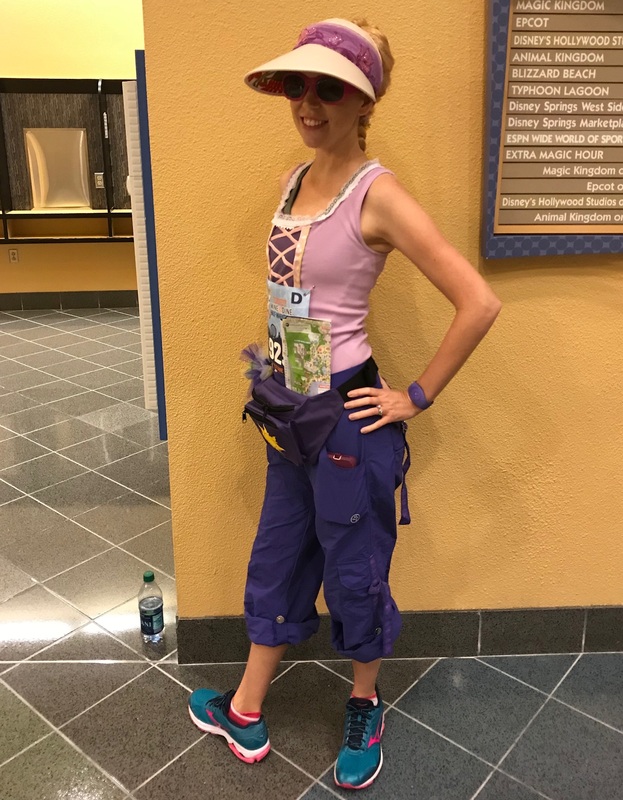 I secured the bag to my wrist using some scrap purple tech material I had so I wouldn’t have to carry it the entire race. The headgear took me a little while to figure out. 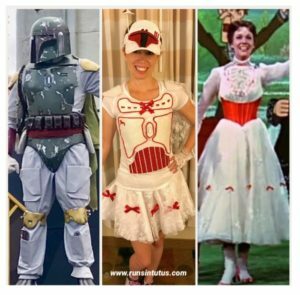 I really wanted to wear the headgear because it is such an iconic part of Darla’s character. 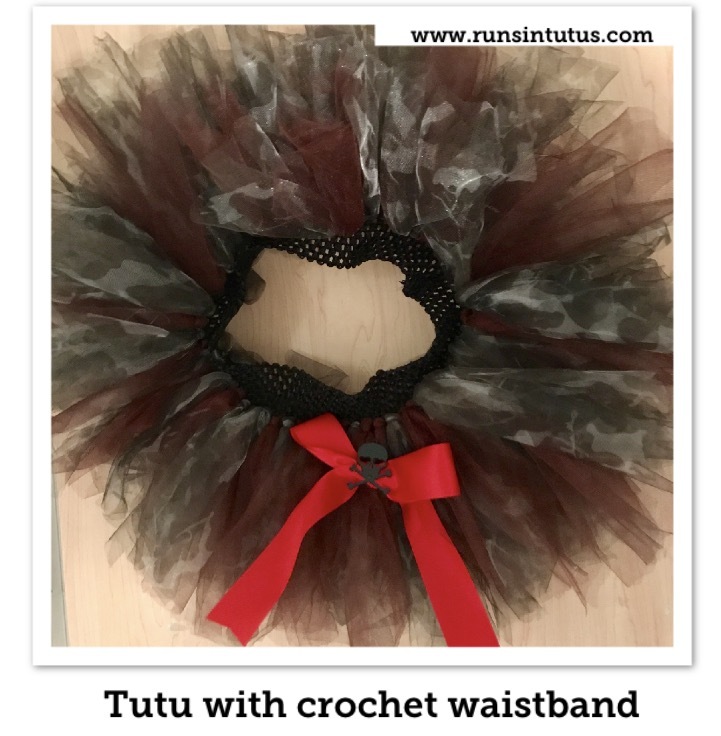 I ended up taking some floral wire and wrapping it in tin foil to give it a metallic look. 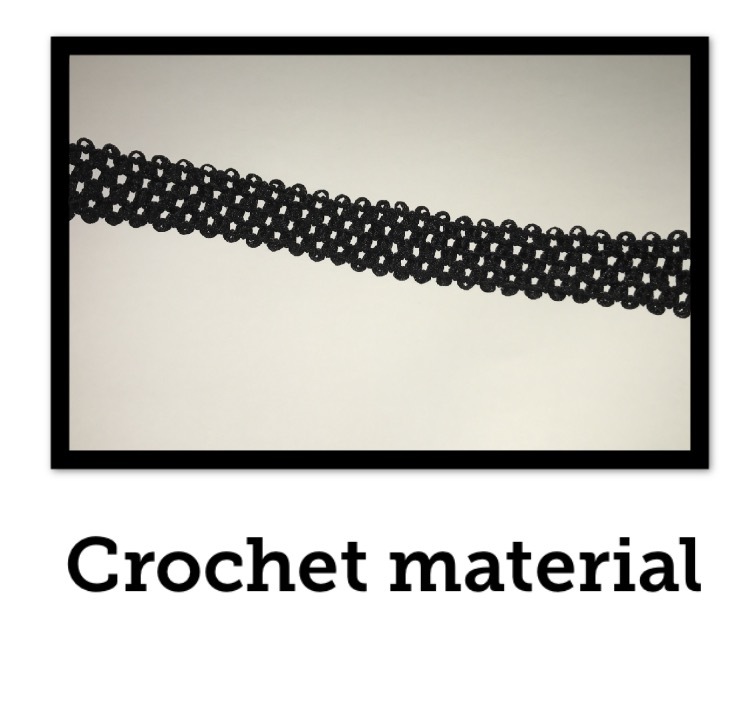 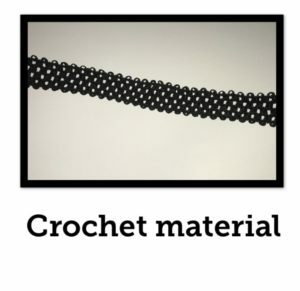 Then, I attached the ends of the wrapped wire to a headband. 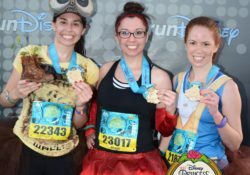 I have long hair so I tucked the ends of my pigtails under so my pigtails would look more Darla-like. 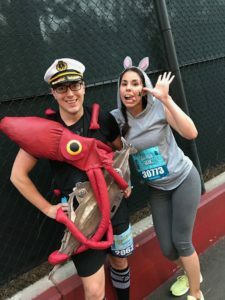 Christine dressed as Darla from Finding Nemo. 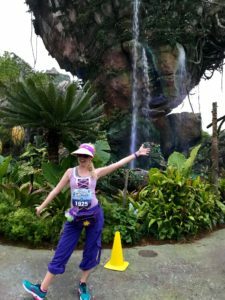 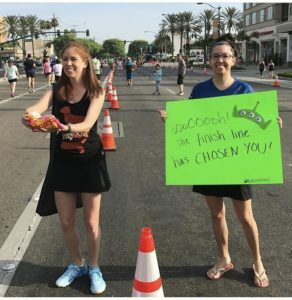 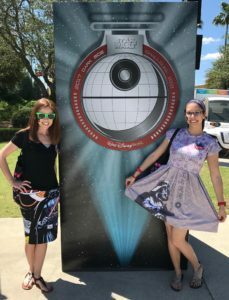 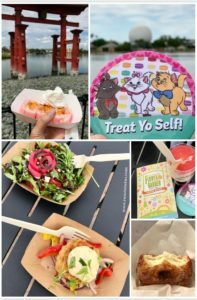 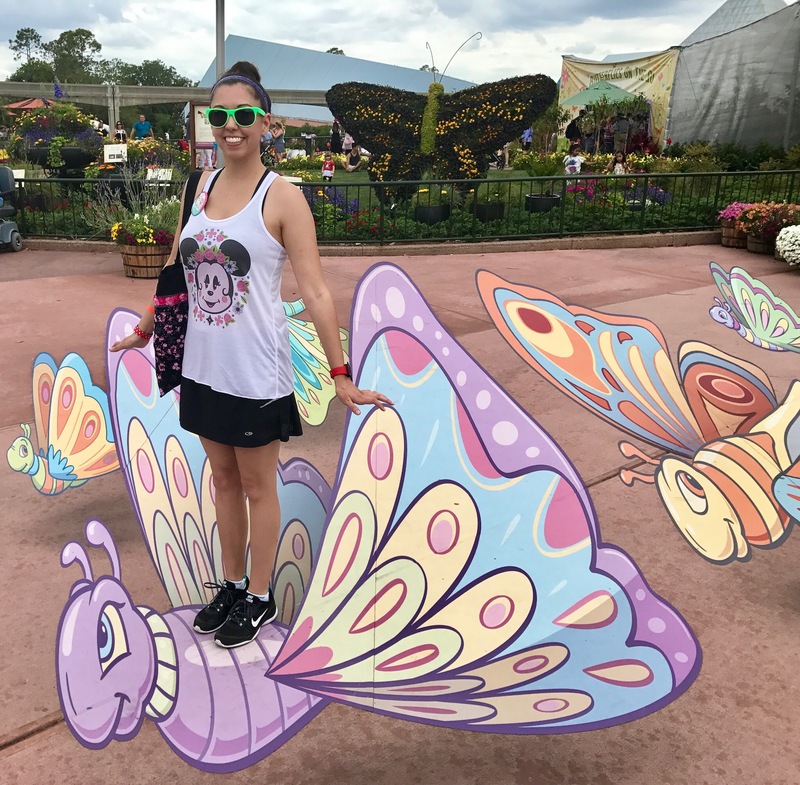 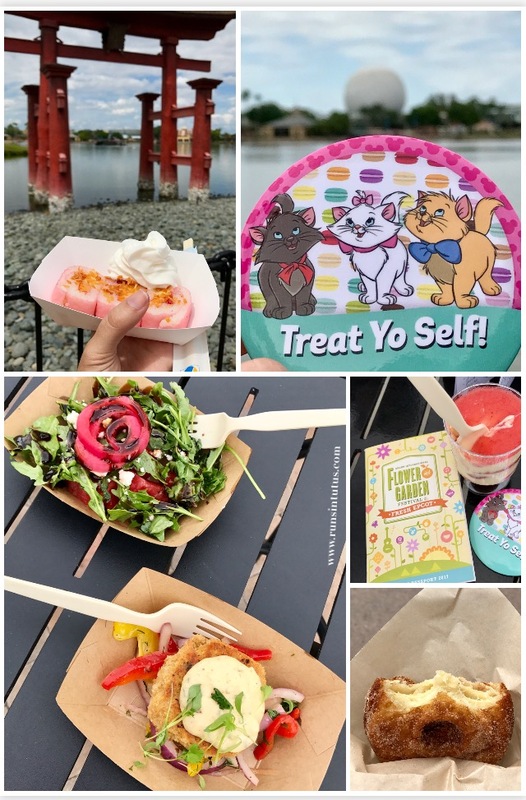 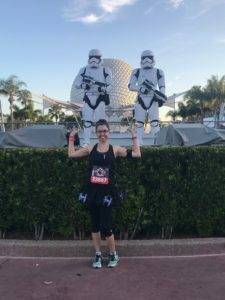 Race Day: After some of the challenges Amanda encountered at the Tinkerbell 10k, we were a little concerned about long lines at race security, and potentially limited on course entertainment. 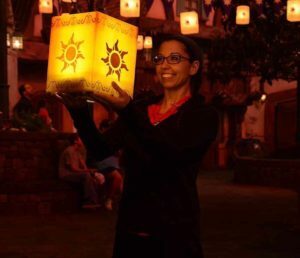 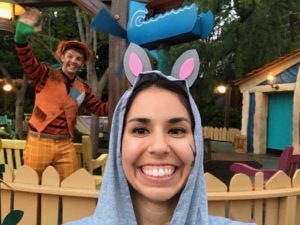 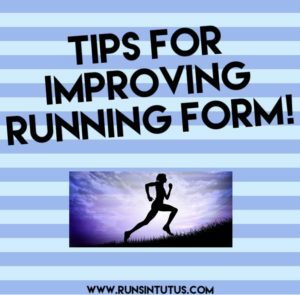 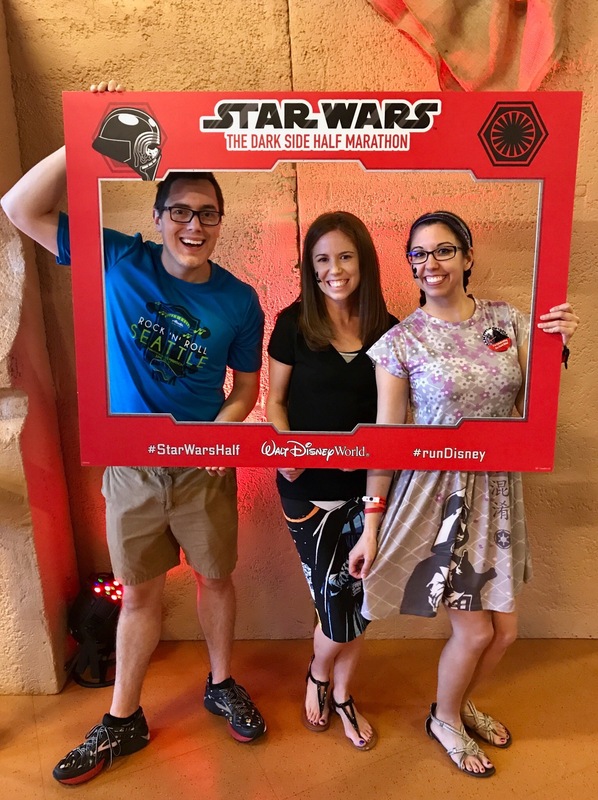 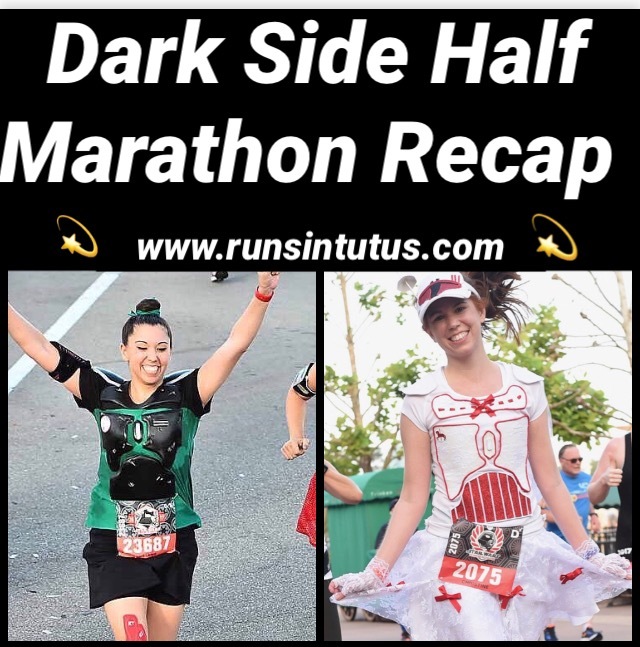 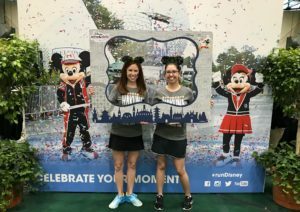 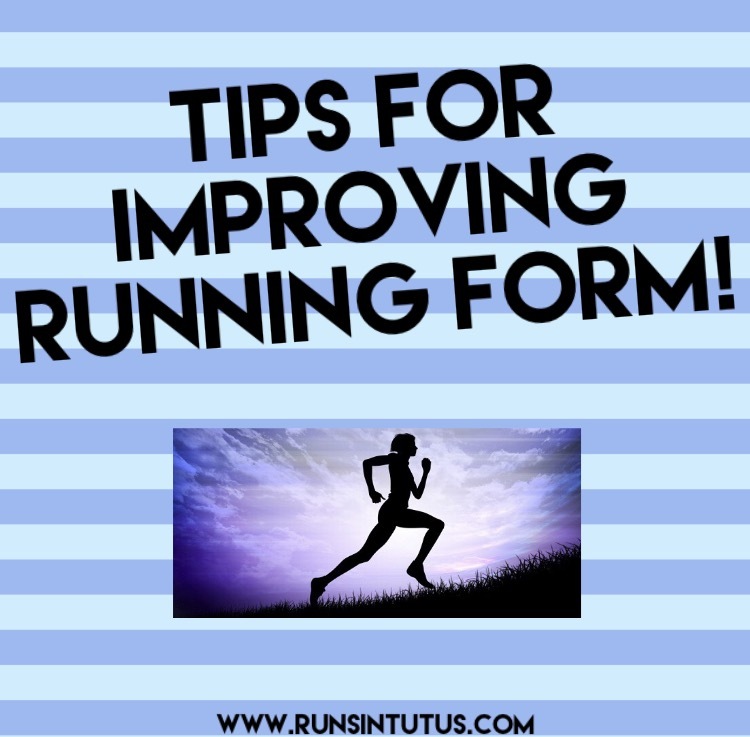 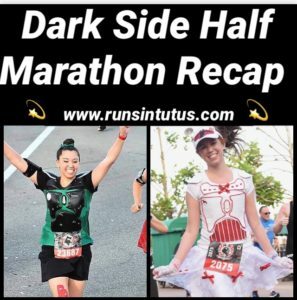 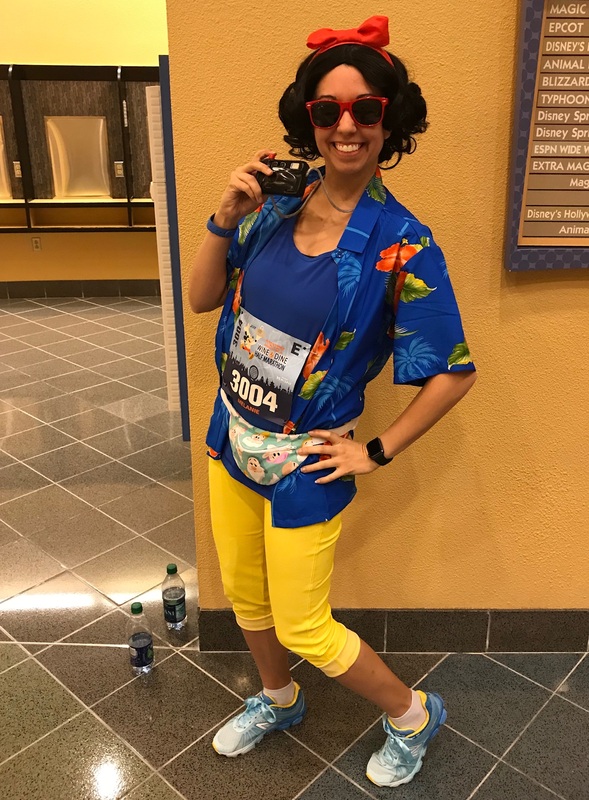 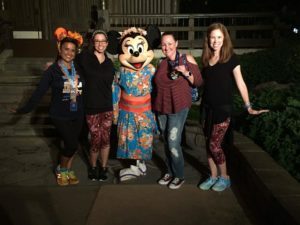 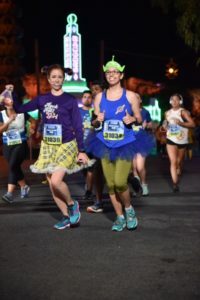 Fortunately, runDisney really responded to the feedback from the last event and made some significant improvements to the security process and the course entertainment! 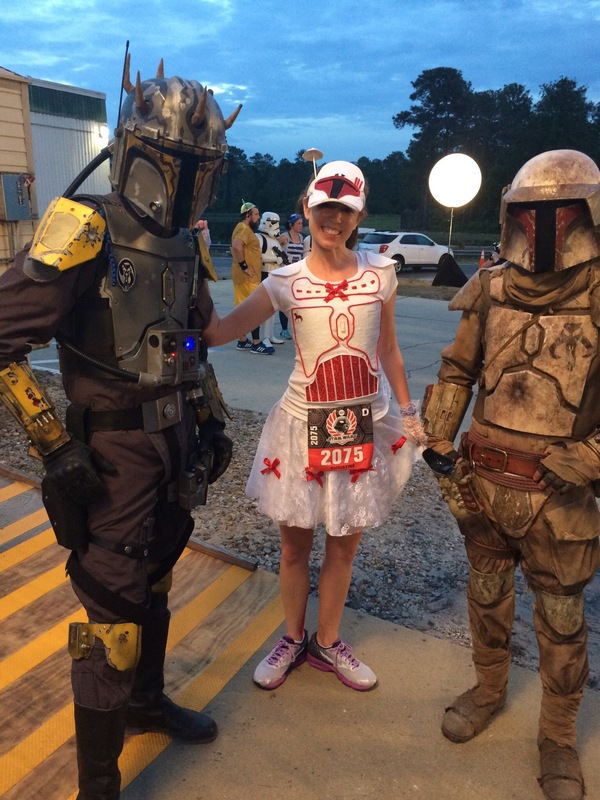 We had no issues in the security line during race entry. 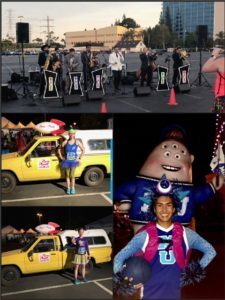 As soon as we arrived at the pre-race party area, we were pleasantly surprised to see the Pizza Planet truck out for photo ops along with a backdrop specifically designed for the race! 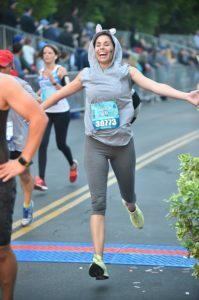 It was very easy to get to the corrals and the corrals were smaller compared to previous races. We loved how the smaller corrals helped control course crowding. 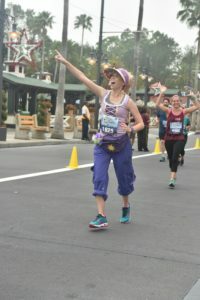 We also loved the race course! 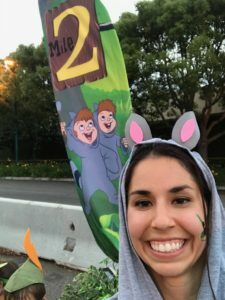 We started near Downtown Disney and ran into California Adventure for the first few miles. 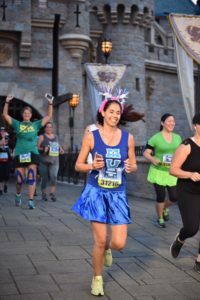 Then we ran into Disneyland, and got to run through the castle!! 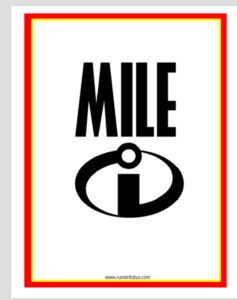 The mile markers were very cute at this race. 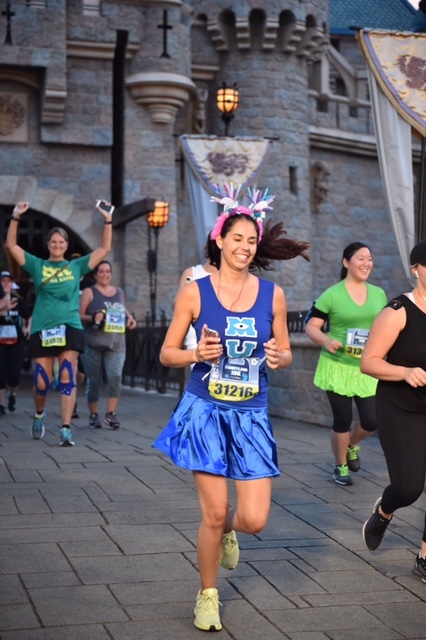 Each mile marker on the course featured a different Monster’s University character which made for adorable photo ops! 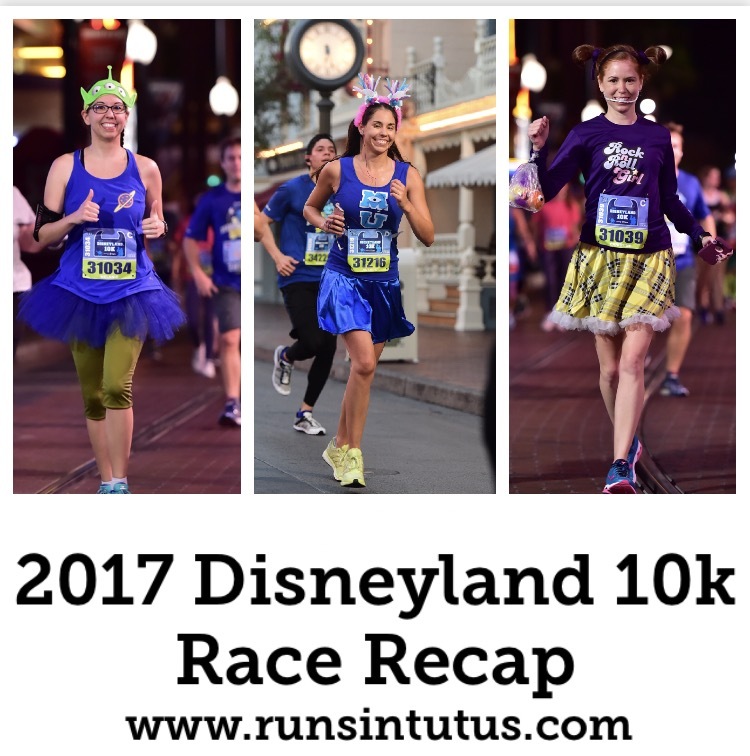 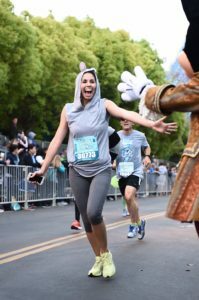 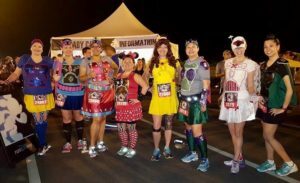 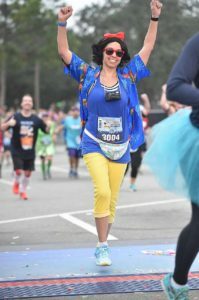 Photo ops at the 2017 Disneyland 10k. 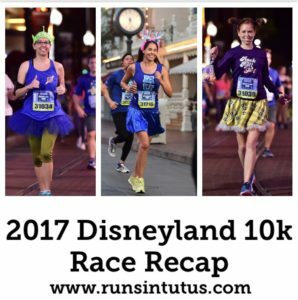 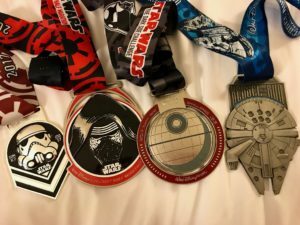 2017 Disneyland 10k mile markers. 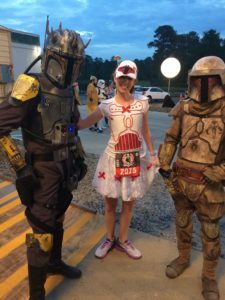 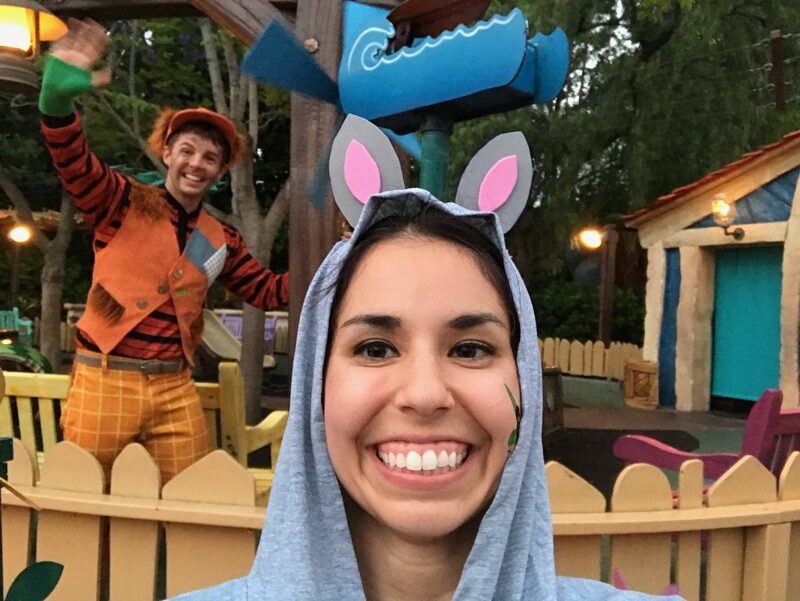 Speaking of characters, there were so many character meet and greets on the course! 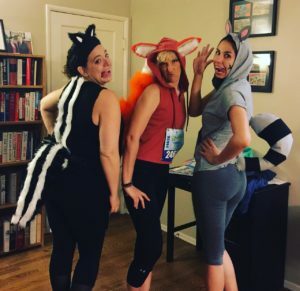 We loved that prior to the race, the announcers gave a full run-down of the characters that would be out on the course so we could decide when we wanted to stop and take a picture. We saw Russell and Dug from UP, tons of Monster’s University cheerleaders, Roz from Monster’s Inc., Mike and Sully, Daisy and Donald Duck, Chip and Dale, Goofy, Mickey, the CDA, Lightning McQueen and Mater, Ratatouille characters, Flick and Princess Atta, and Nemo and friends. 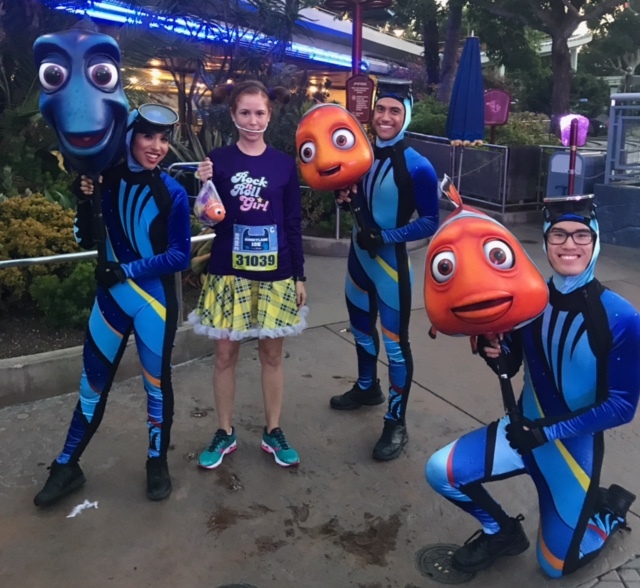 I of course had to stop and take a picture with Nemo! Amanda stopped to take a picture with her fellow MU cheer squad! 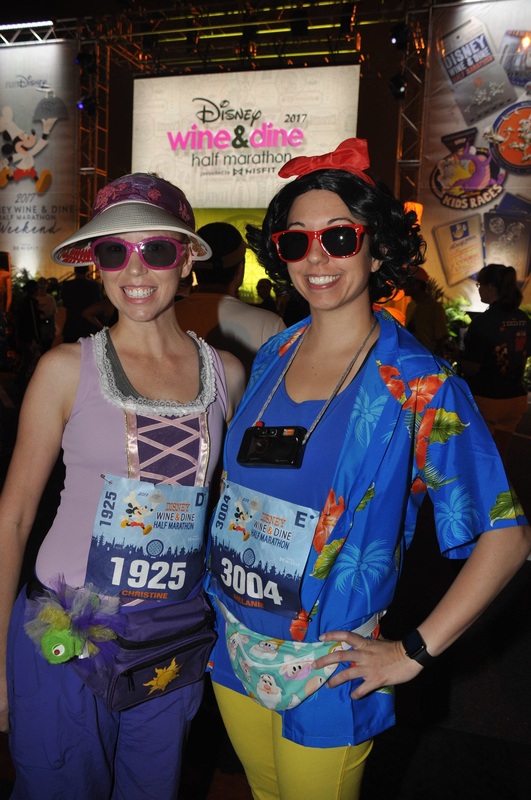 We noticed DJs playing upbeat tunes during portions of the course that were not on the parks property. 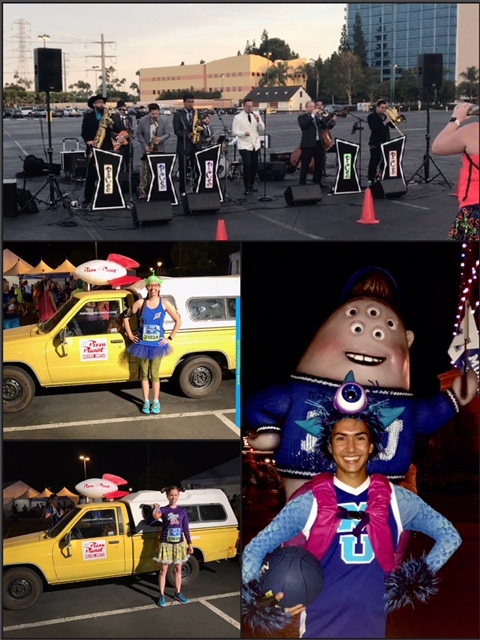 We also saw a big band musician and the drum line from the Pixar parade!! 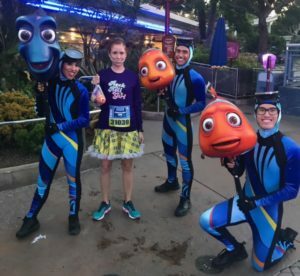 Nemo and friends character stop at the 2017 Disneyland 10k! 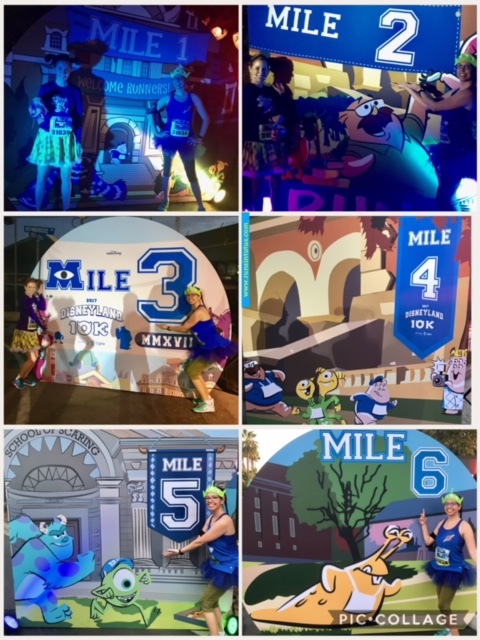 Another special touch on the course was the use of signage and digital projections to add Monster’s University details throughout the course! When we ran past Paradise Pier, all of the World of Color lighting was on, and the MU logo was projected on to California Screamin’. 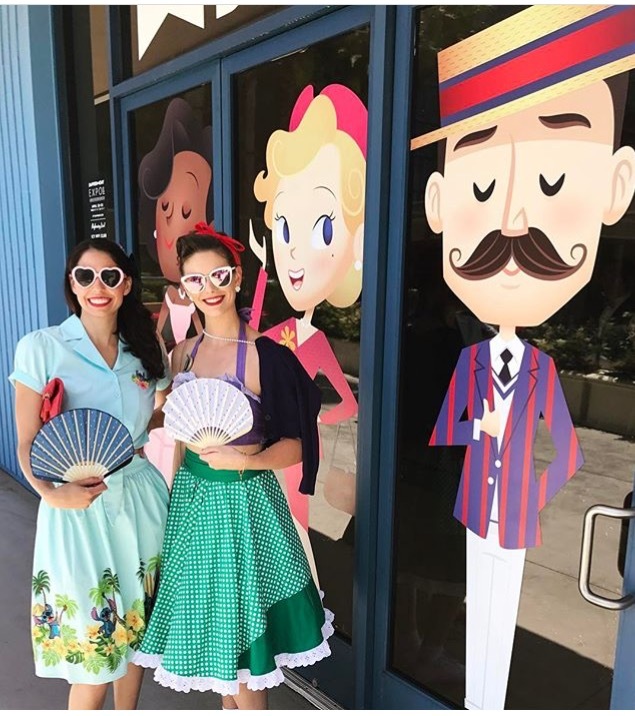 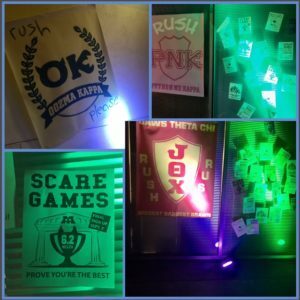 When we ran between California adventure and into Disneyland, we saw an adorable wall with the rush signs for each of the MU Greek organizations. There were also digital projections of the MU Greek letters throughout the course. 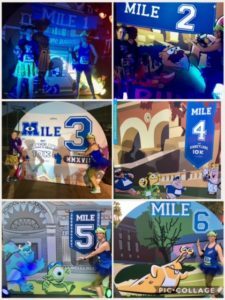 MU themed decorations on the course. 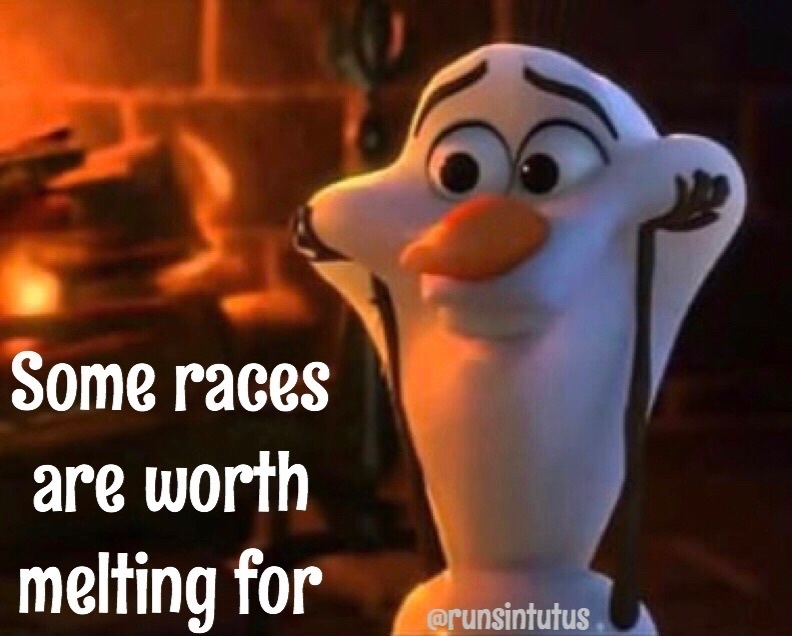 The temperatures were very high for this race, so we took it easy and didn’t push ourselves. 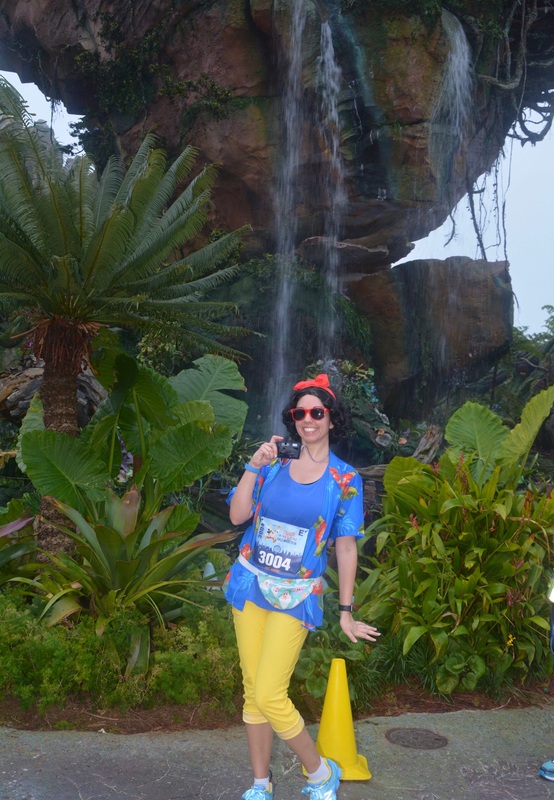 We were thankful for the well-staffed water stops that kept us hydrated. 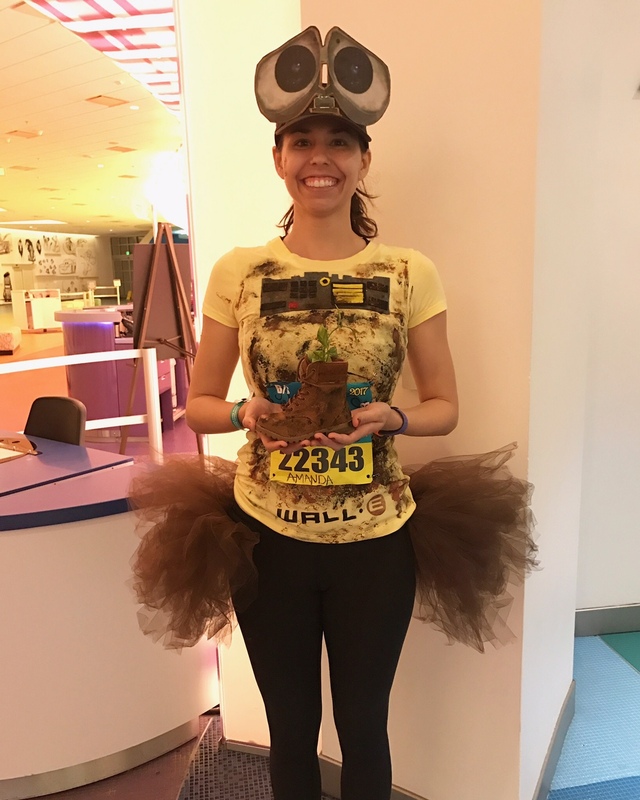 We were feeling a little sluggish towards the end of the race, but we thankfully ran into our Instagram friend Andrea right at the finish line! 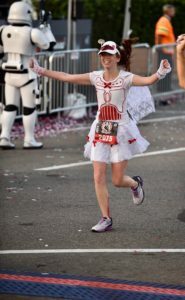 She helped motivate us for the last leg of the race and she crossed the finish line with us. 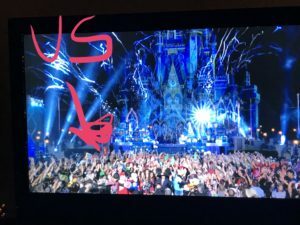 It was such a fun moment! 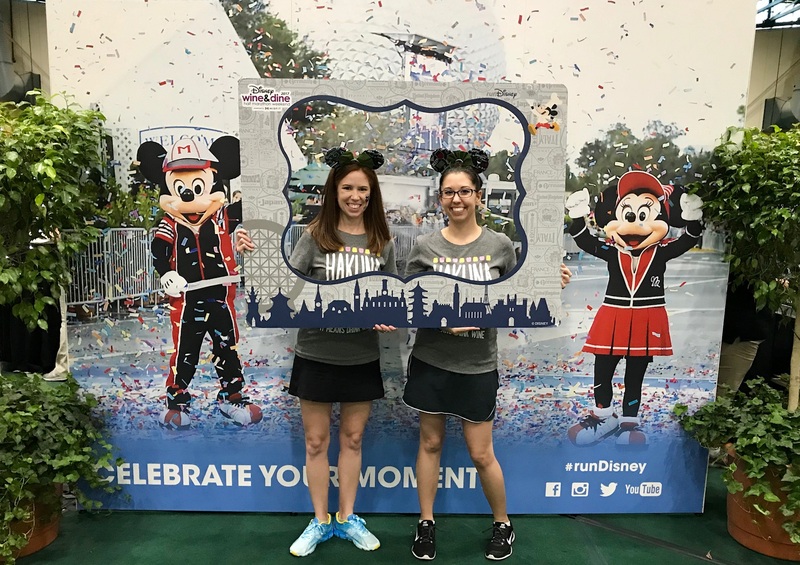 The post-race area was very well organized, and the post-race picture area featured a picture with the Monster’s University student ID. 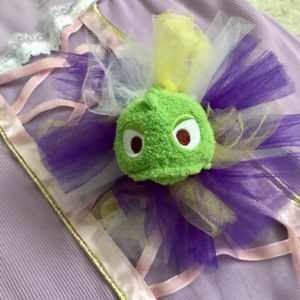 It was super cute. 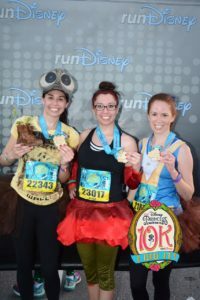 We sadly did not stop for the post-race finisher picture because the sun was rising and my ginger skin was not about to make it much longer in the heat! We headed straight to the hotel for showers and a long nap as soon as we grabbed our medals! 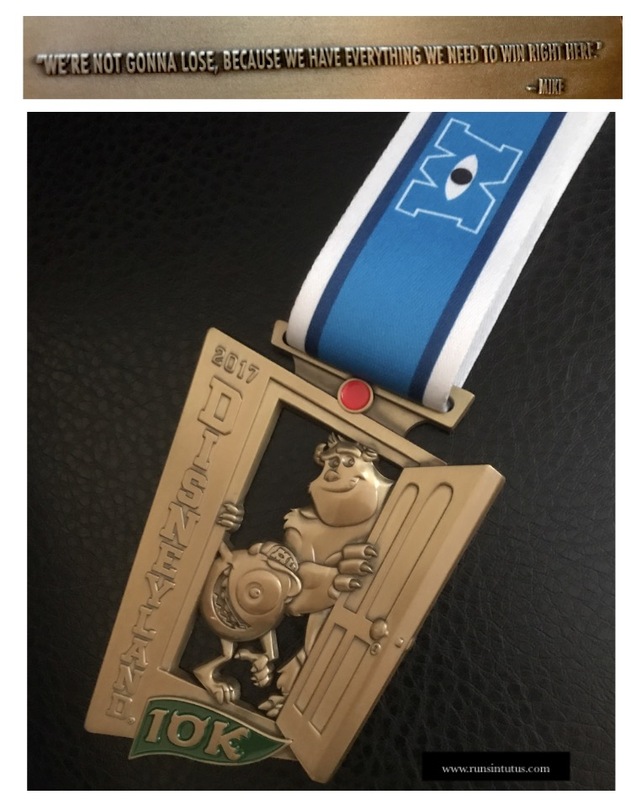 We loved the medal for this race because it included a special touch of a quote from Mike Wazowski on the back! 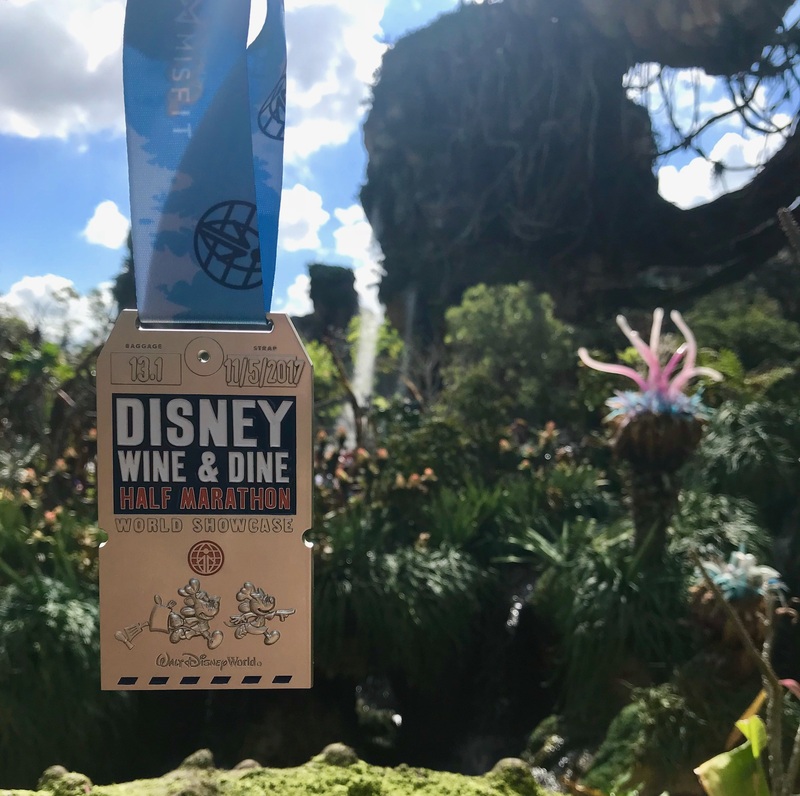 This is the first time we’ve seen this detail on a runDisney medal. 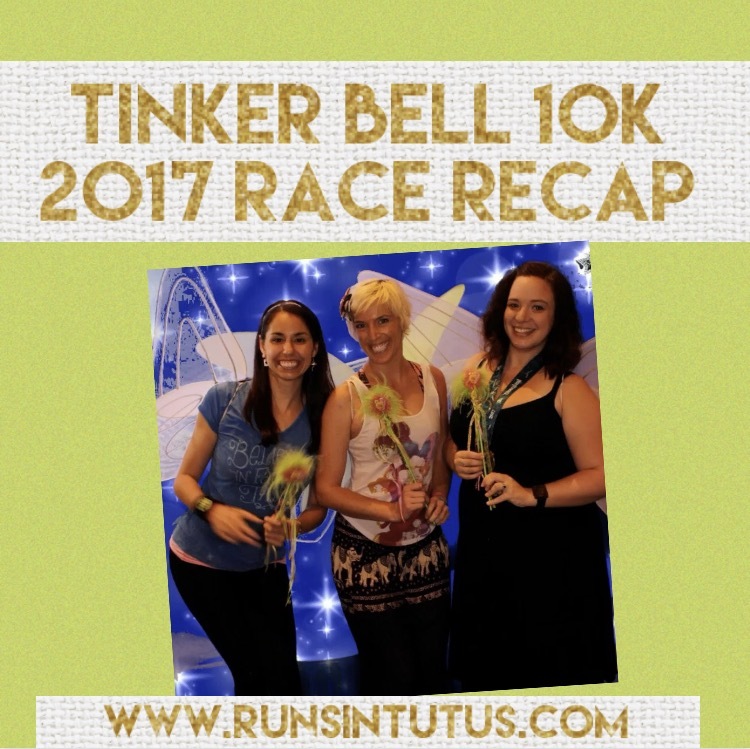 Overall, we were very impressed with this race event from start to finish! 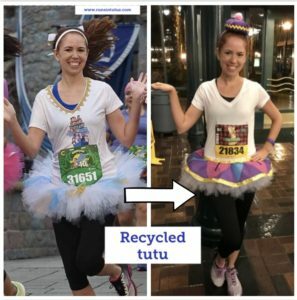 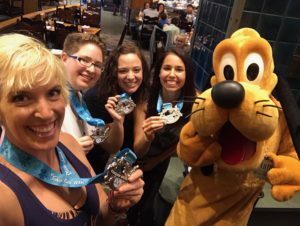 Bravo, runDisney! 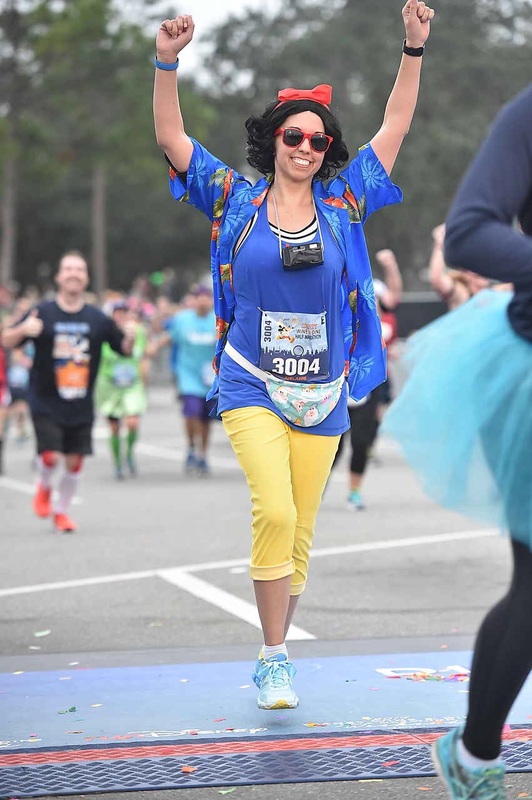 Finishing the race with our friend Andrea! 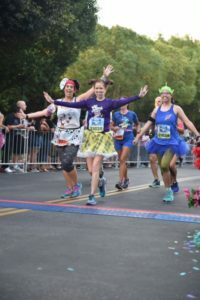 Cheering for the 2017 Disneyland Half Marathon participants. We were so impressed and inspired by what we saw on the course. It was so hot and humid, but every single runner we saw was giving it their all and pushing towards the finish line. 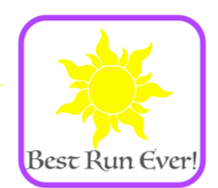 Congrats to all who survived the hottest race ever! We are proud of you!! 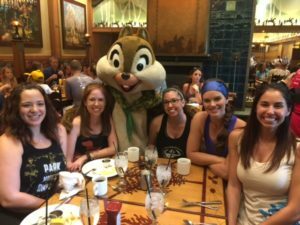 After cheering for the half marathoners, we went to a quick brunch with our friends Kirsten (from Crowned Athletics) and Sam Steelman at Storytellers Café. 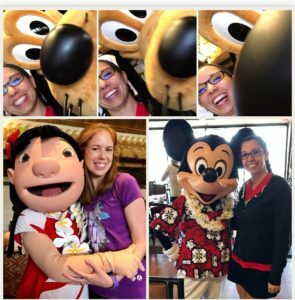 We enjoyed all the Mickey waffles we could eat and then headed home. Well, I think that is all for now! 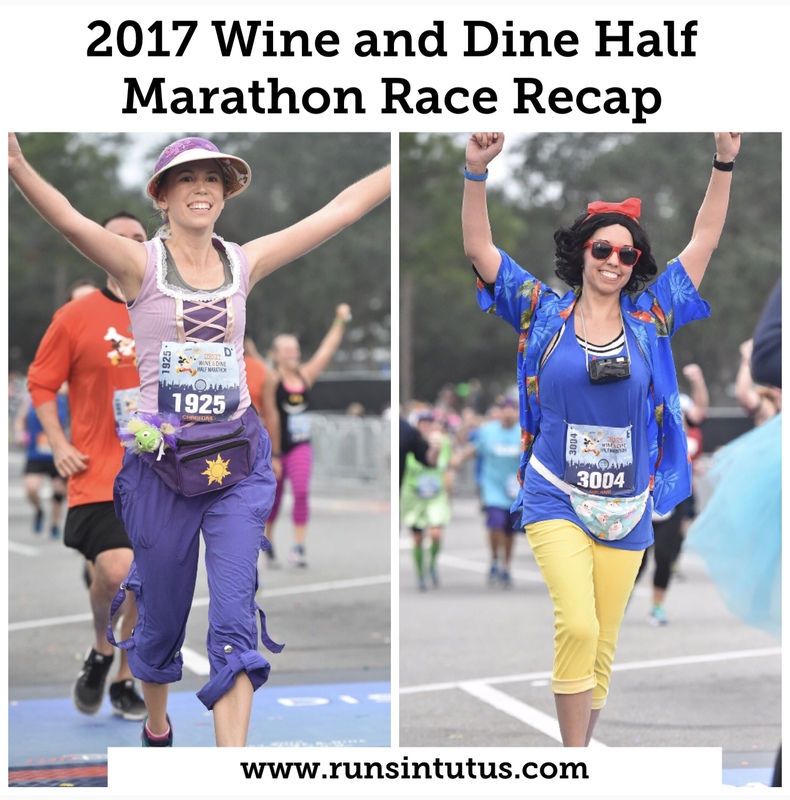 Stay tuned for recaps of the rest of our fall adventures. 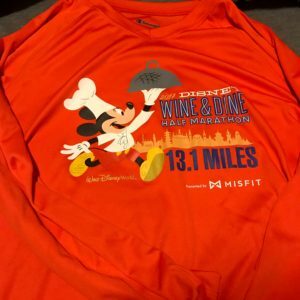 Our next post will be a recap of the Wine and Dine Half Marathon in November. 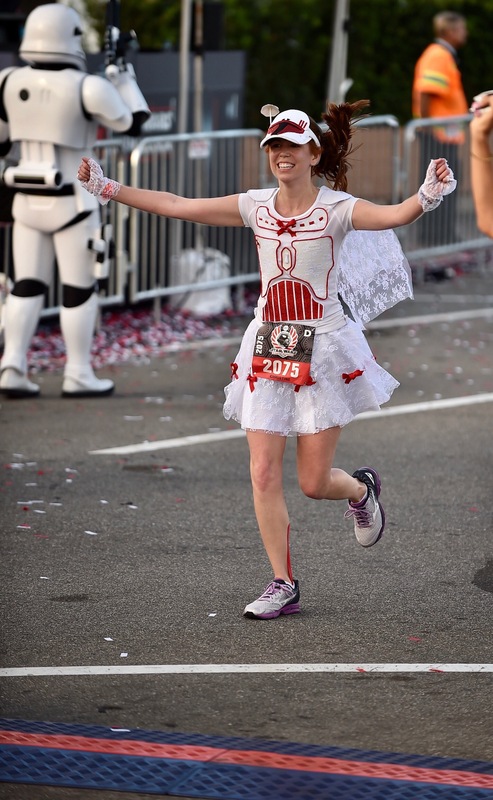 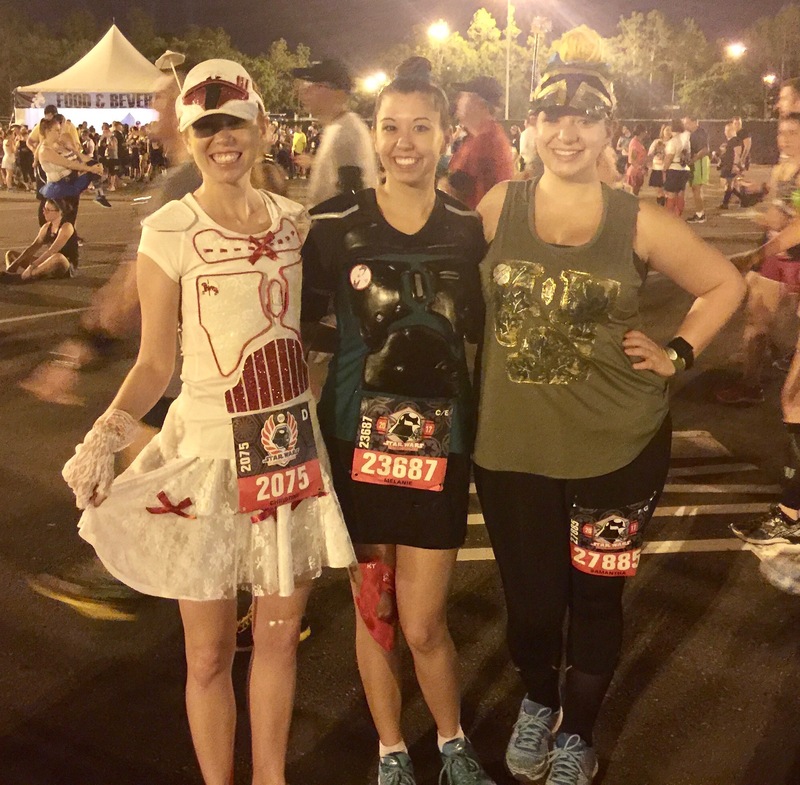 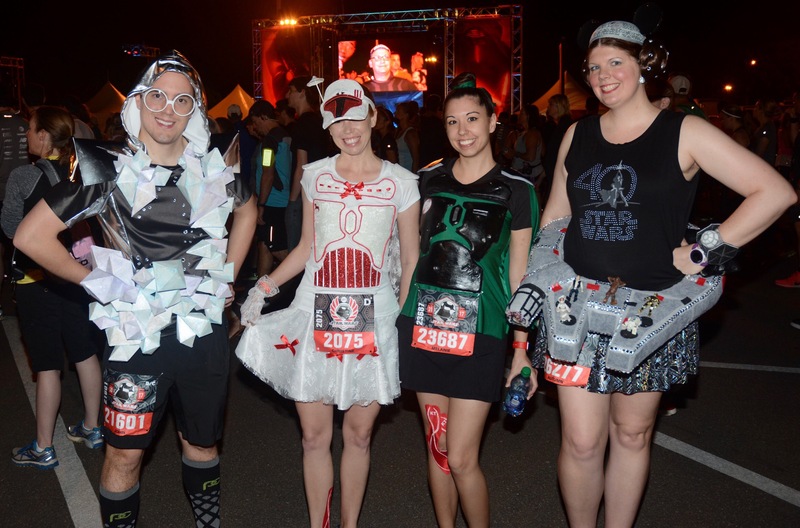 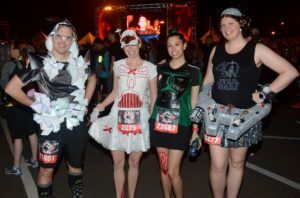 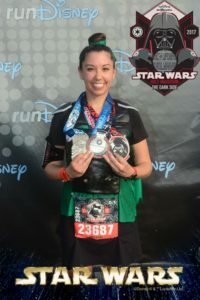 Did you participate in the Disneyland Half Marathon weekend? If so, let us know what you thought about the race weekend in the comments section below! 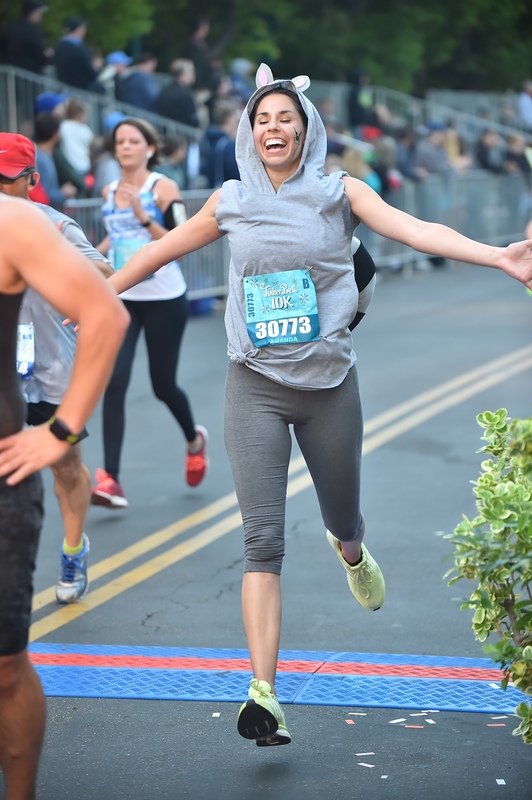 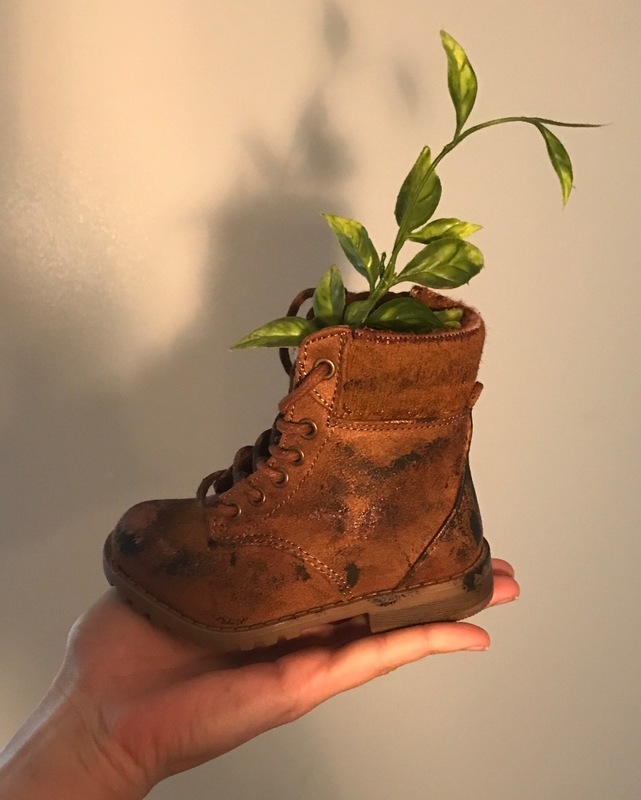 Congrats to all who survived the heat!